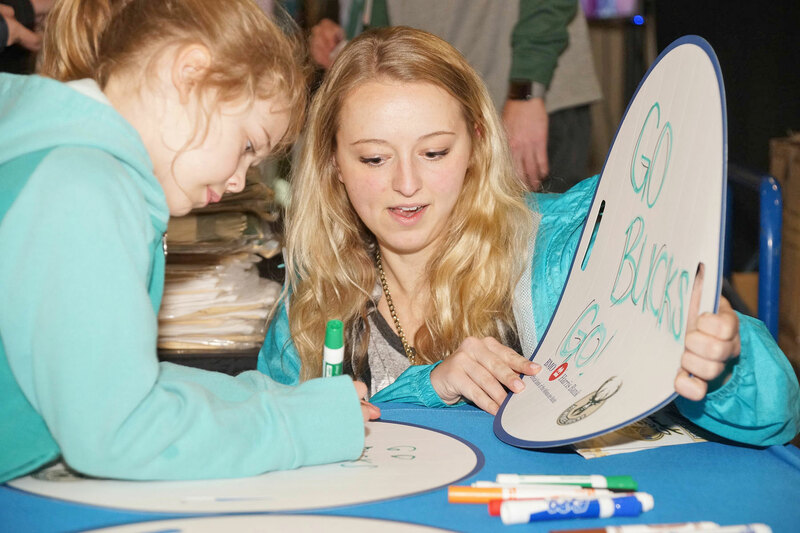 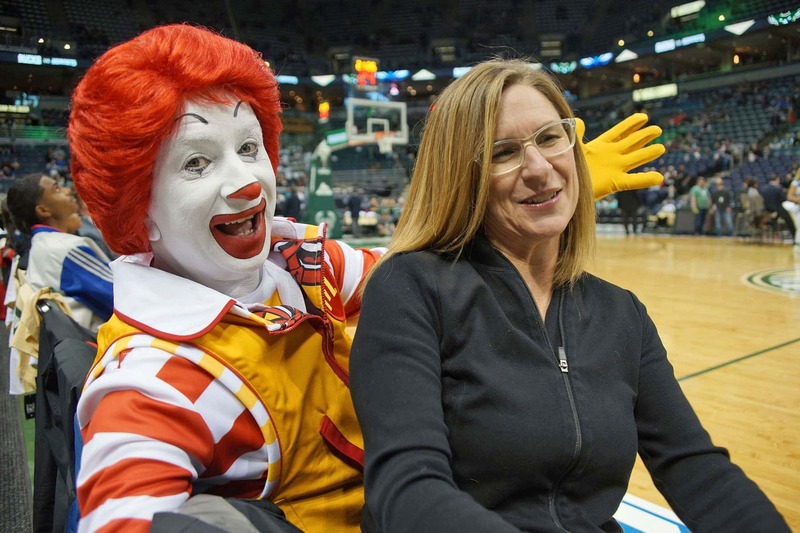 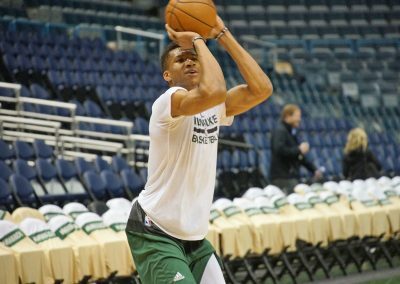 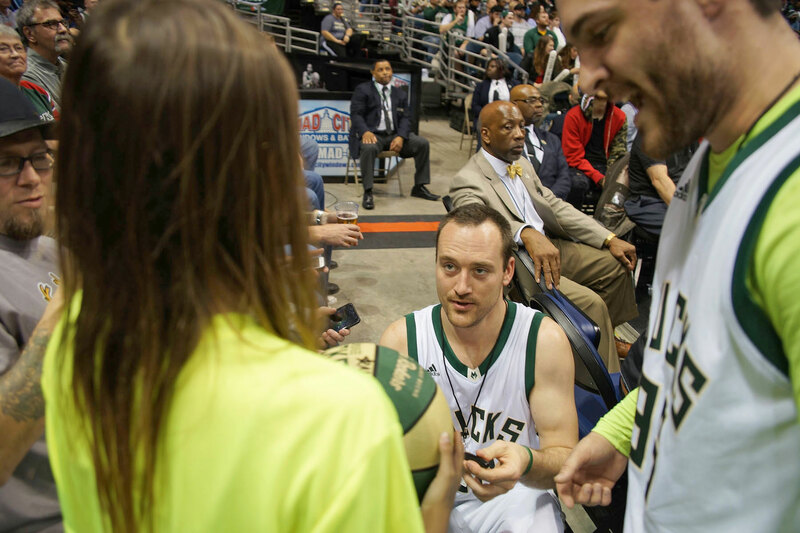 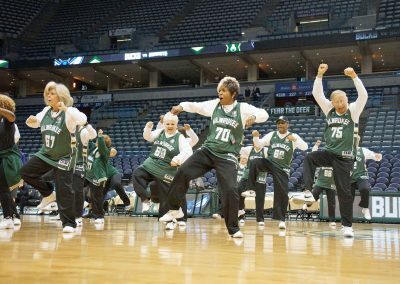 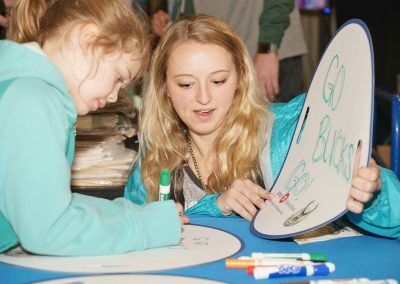 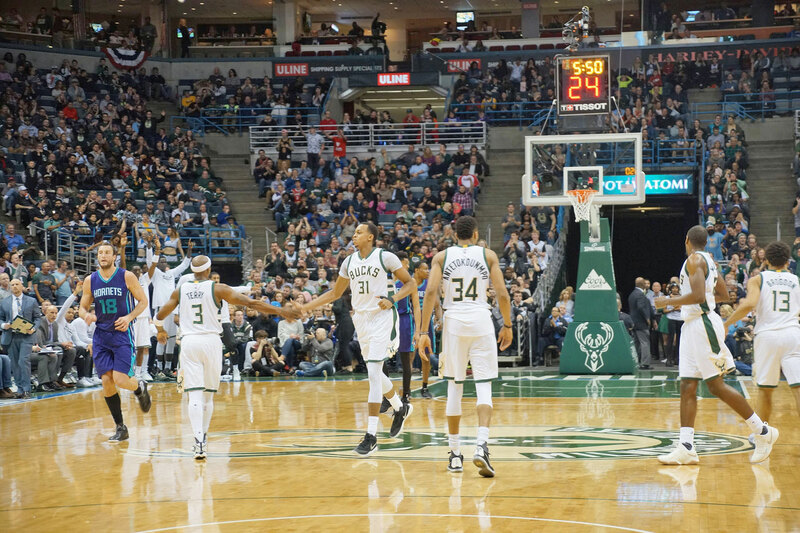 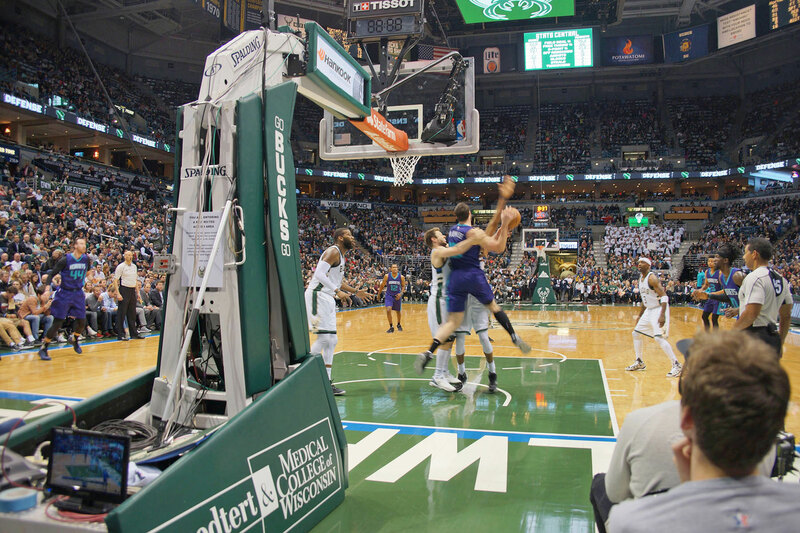 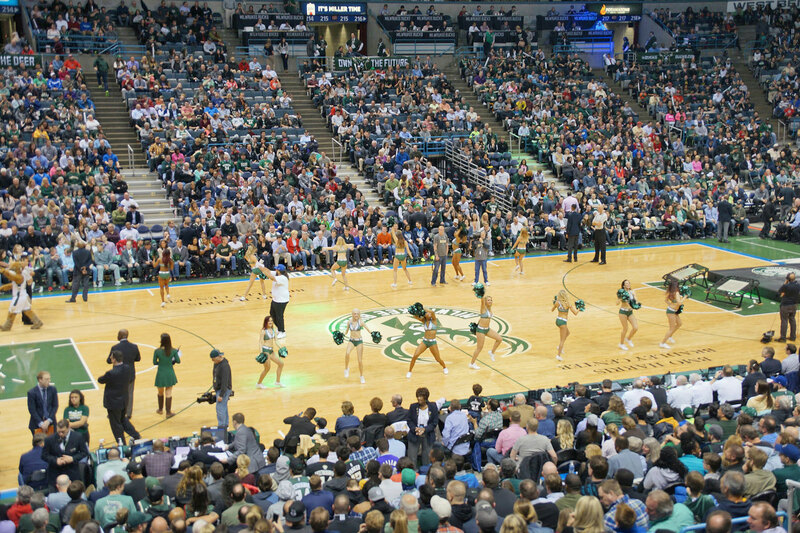 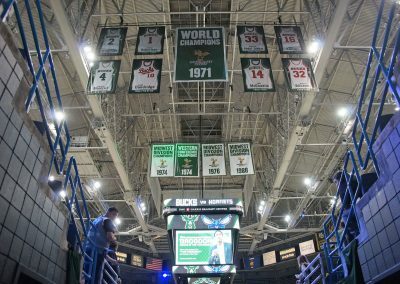 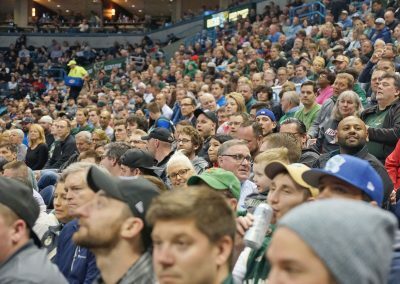 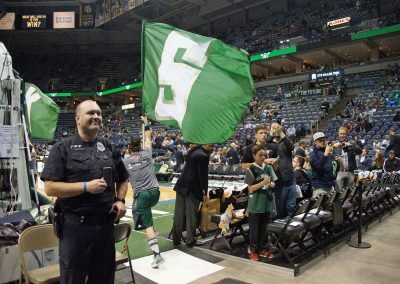 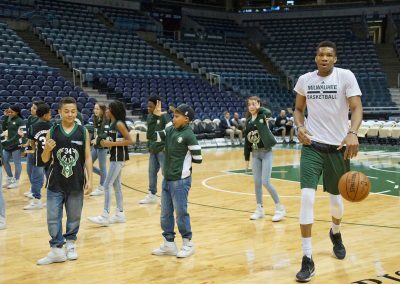 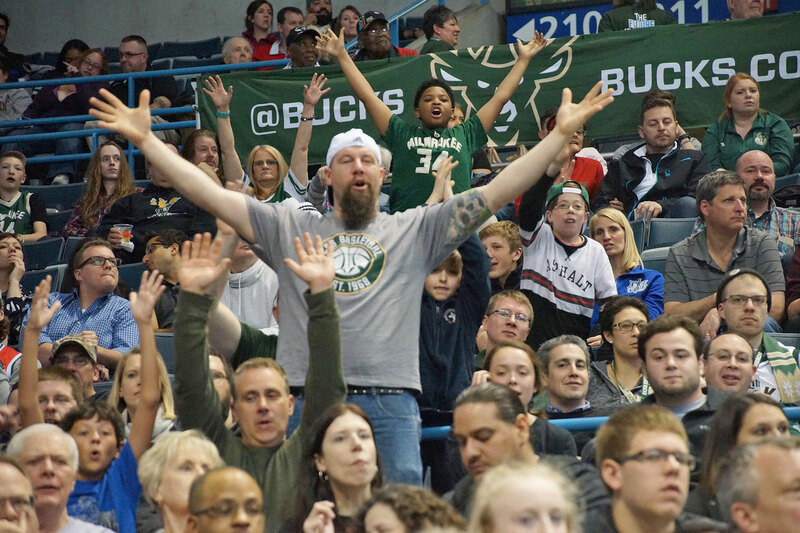 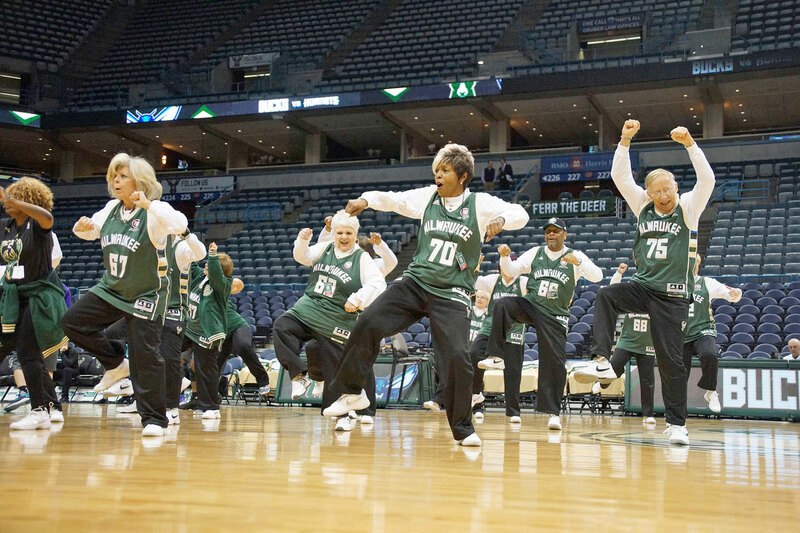 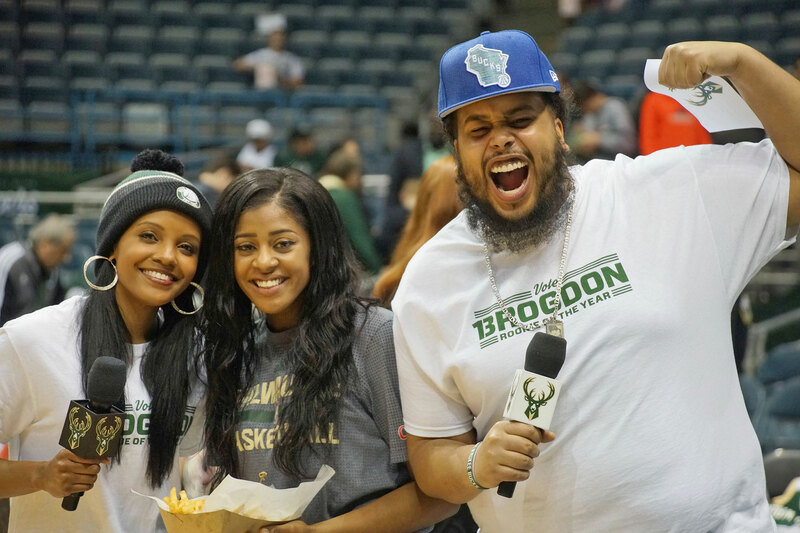 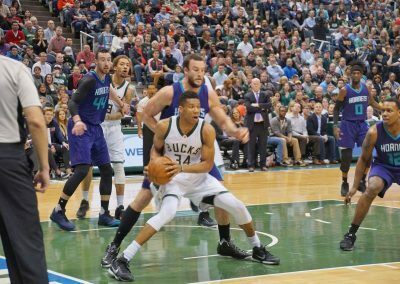 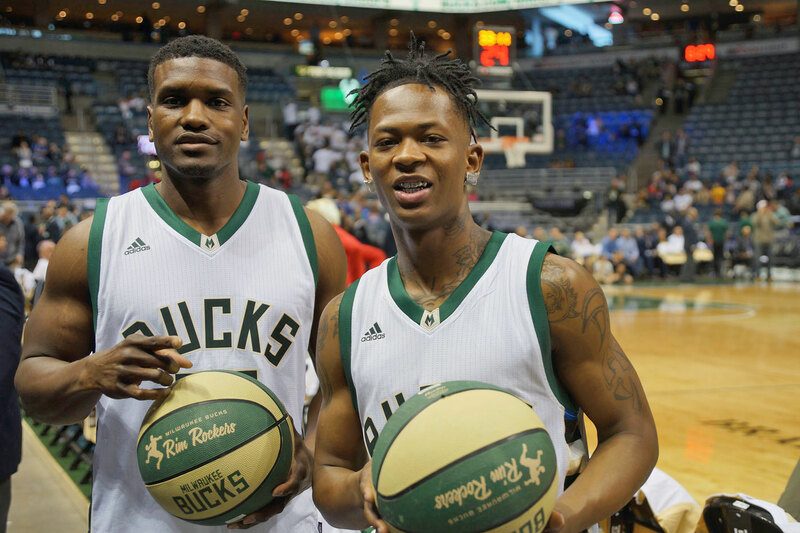 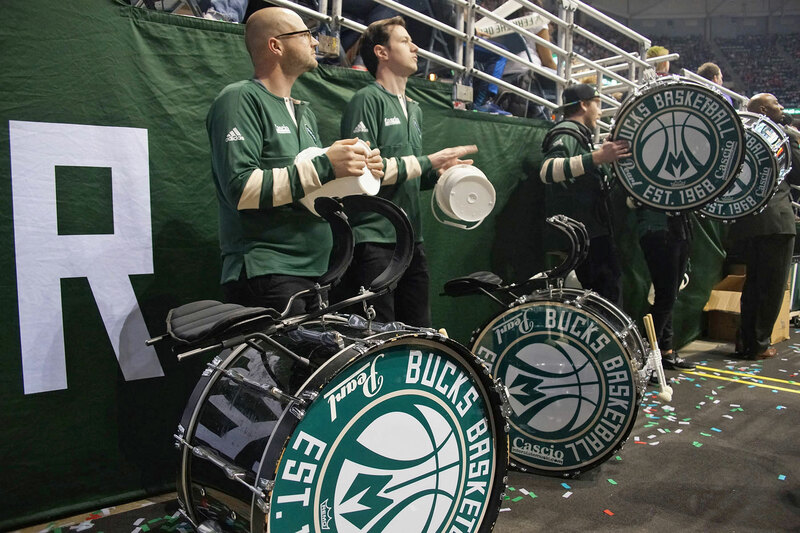 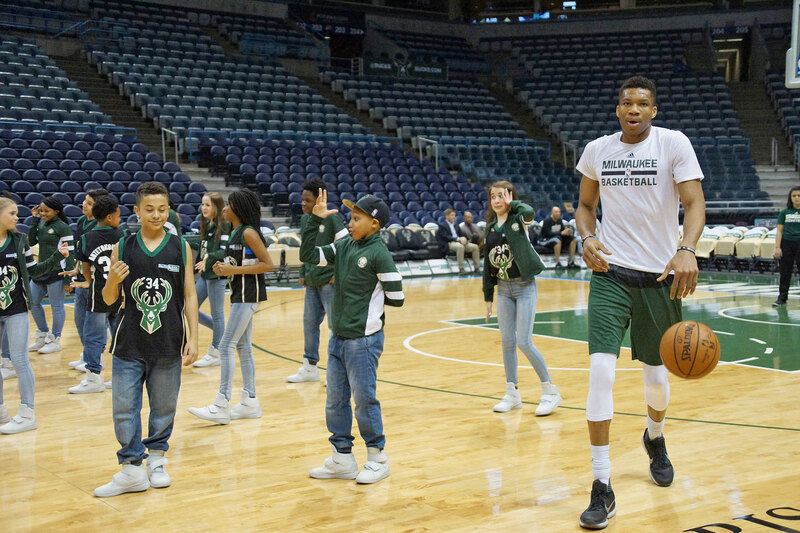 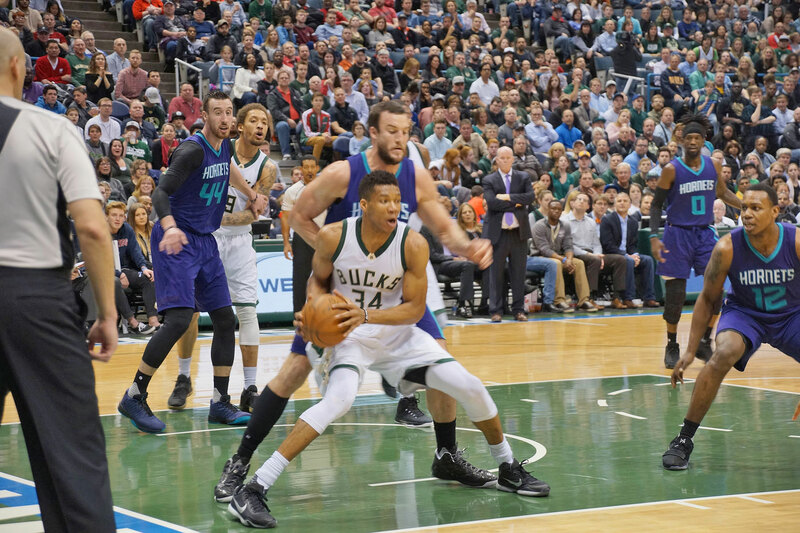 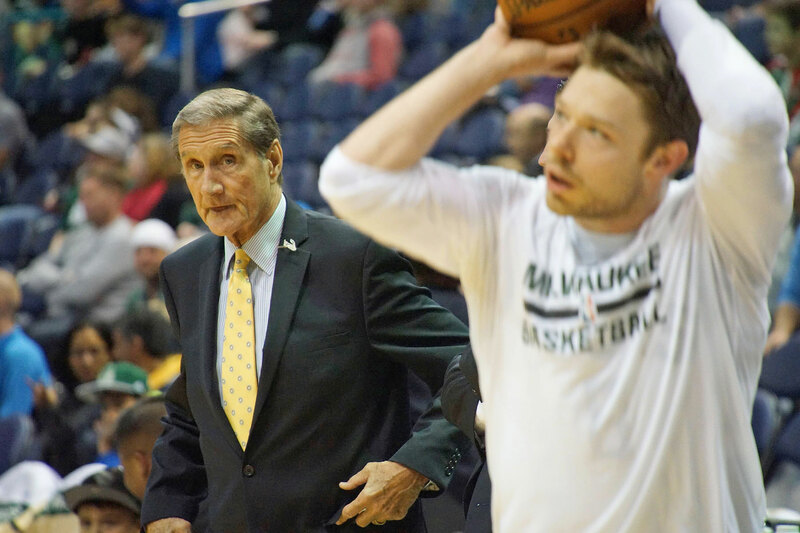 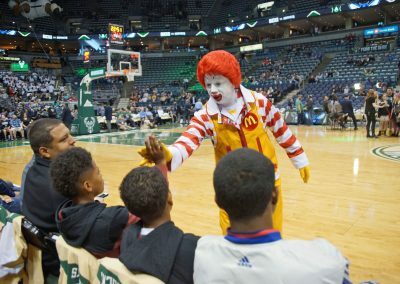 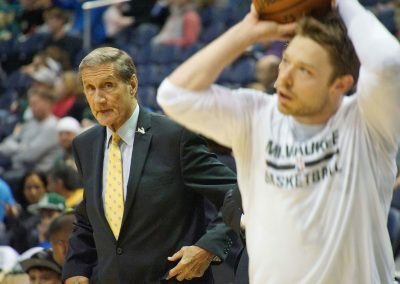 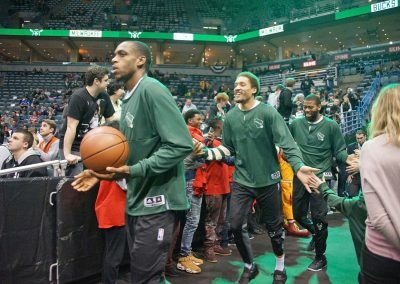 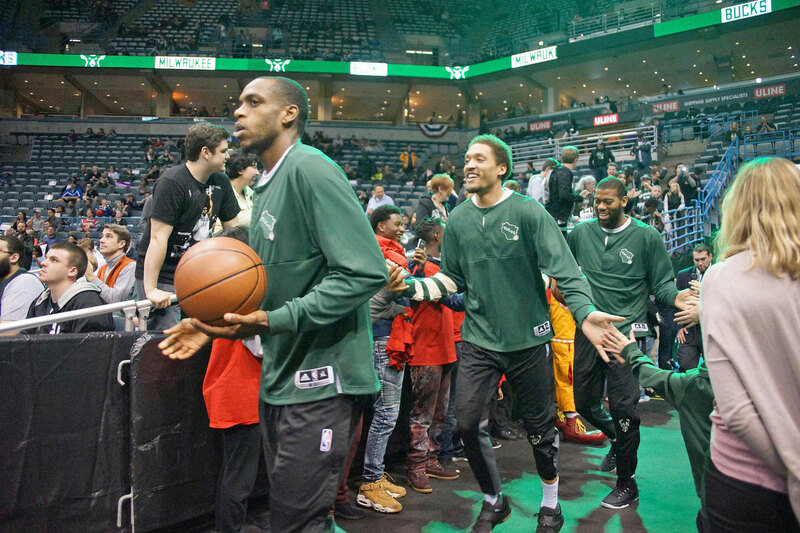 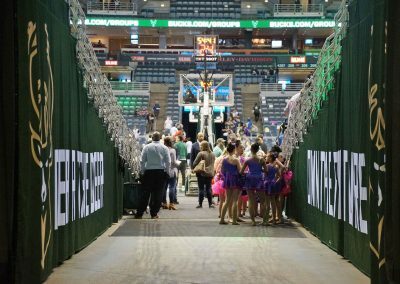 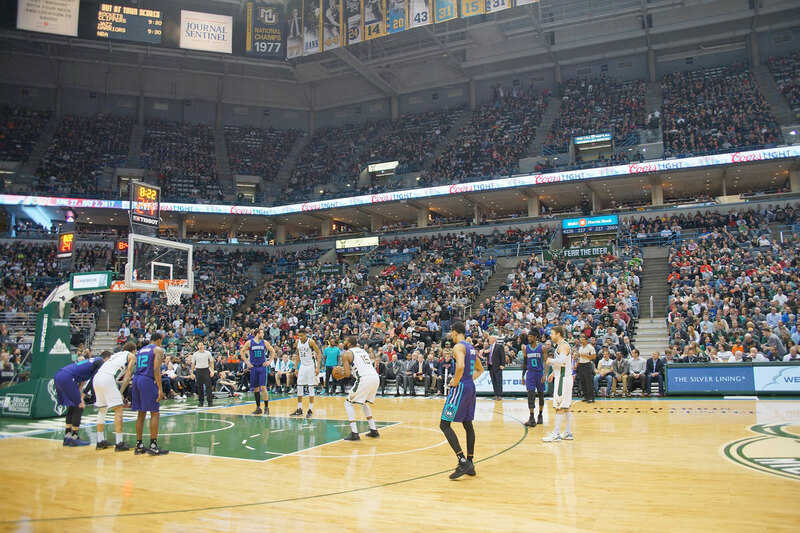 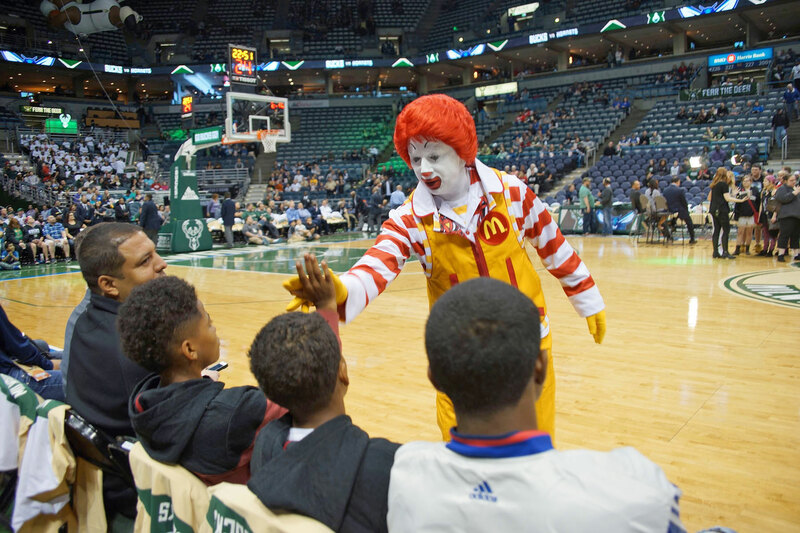 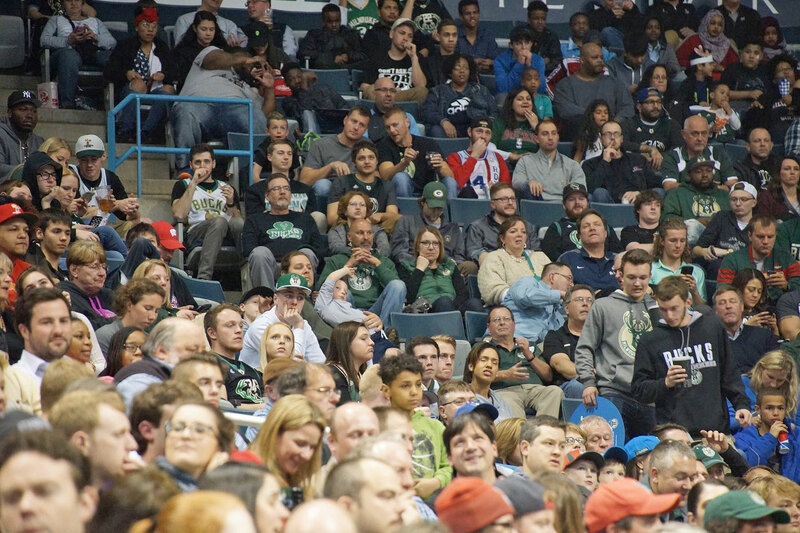 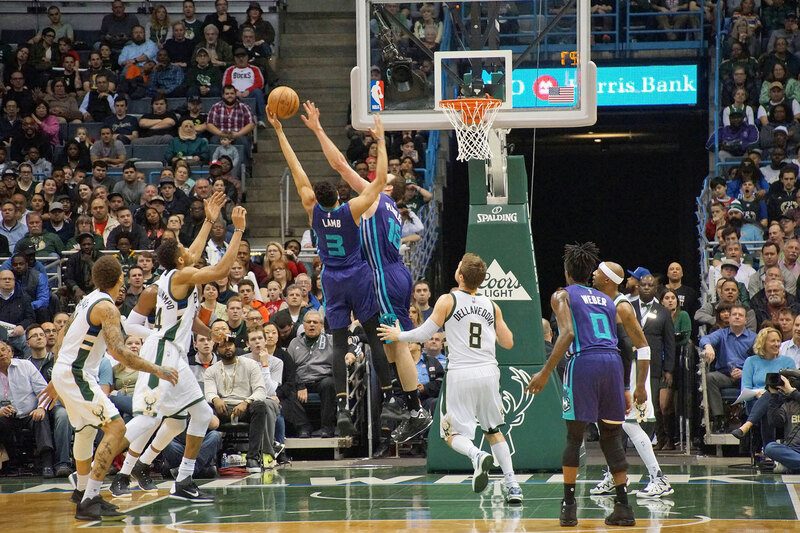 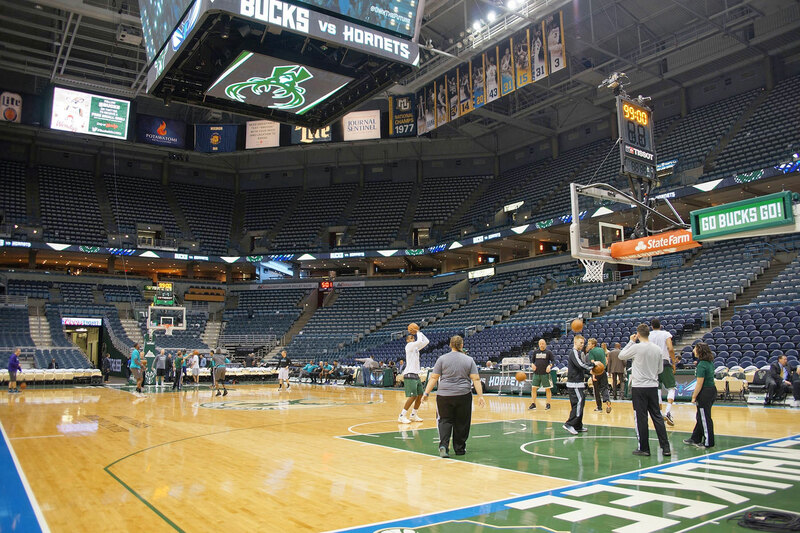 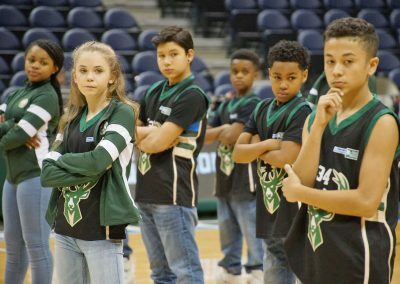 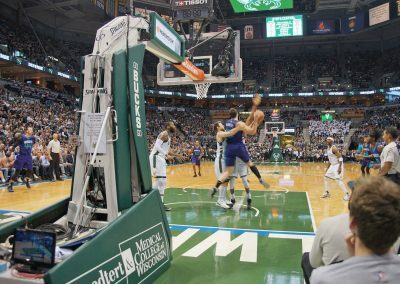 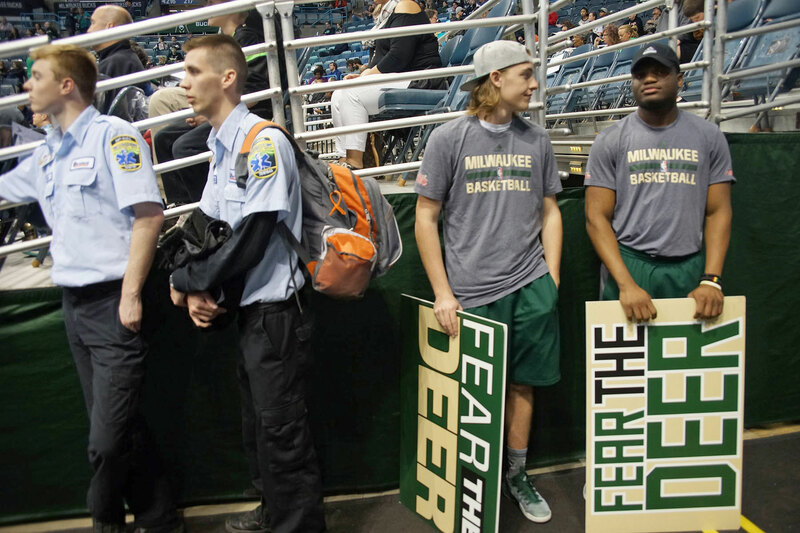 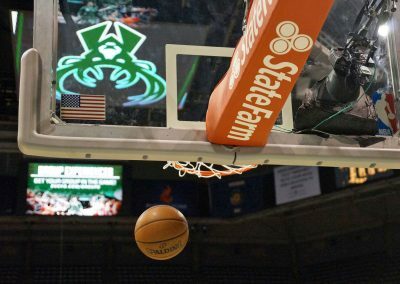 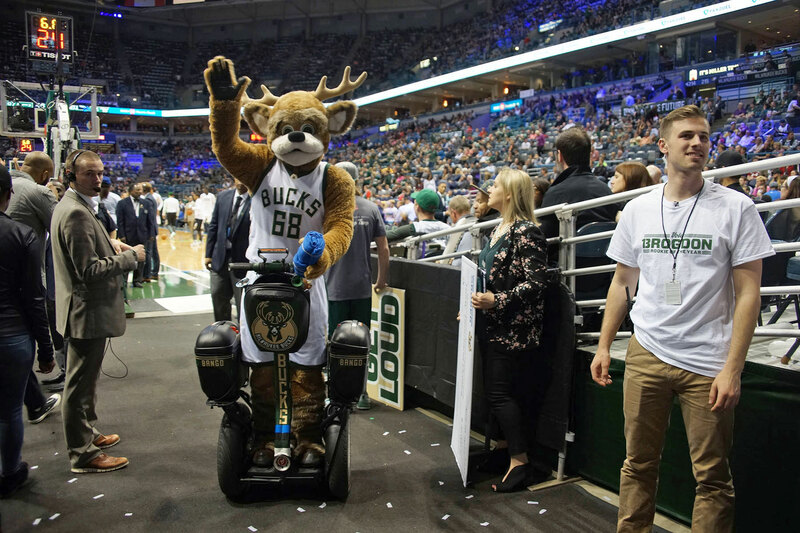 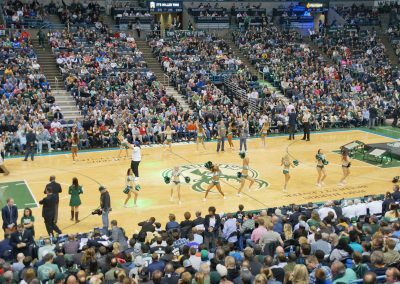 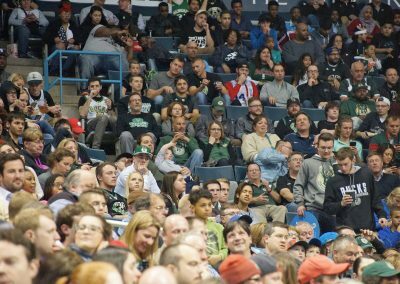 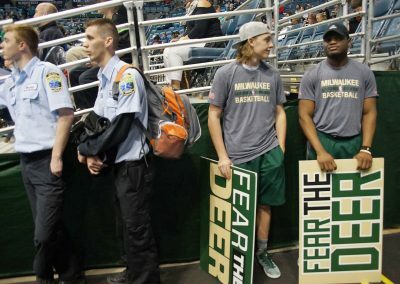 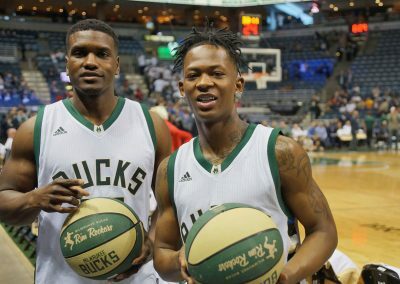 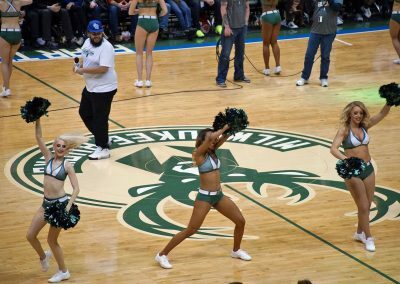 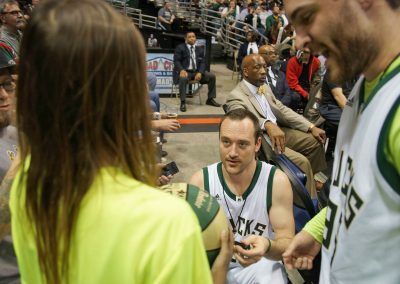 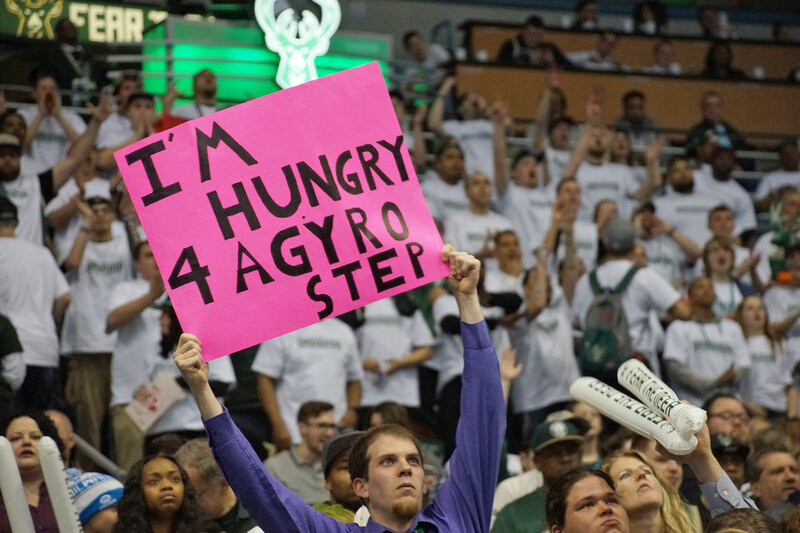 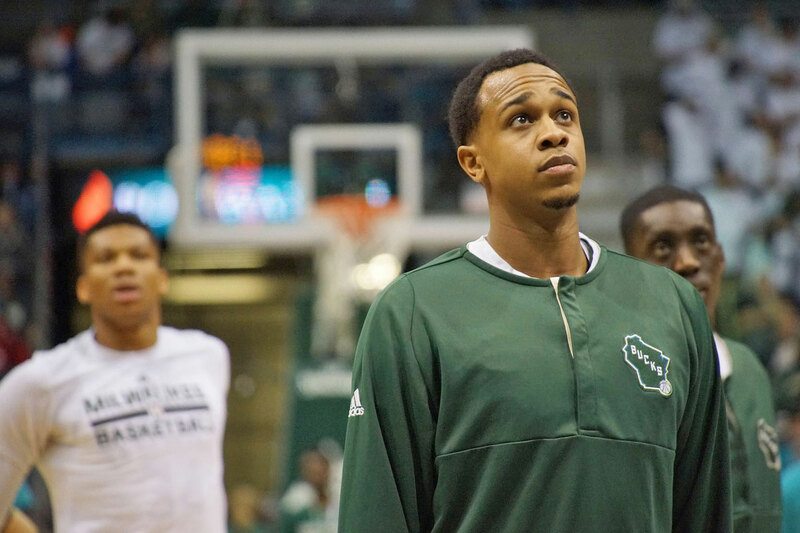 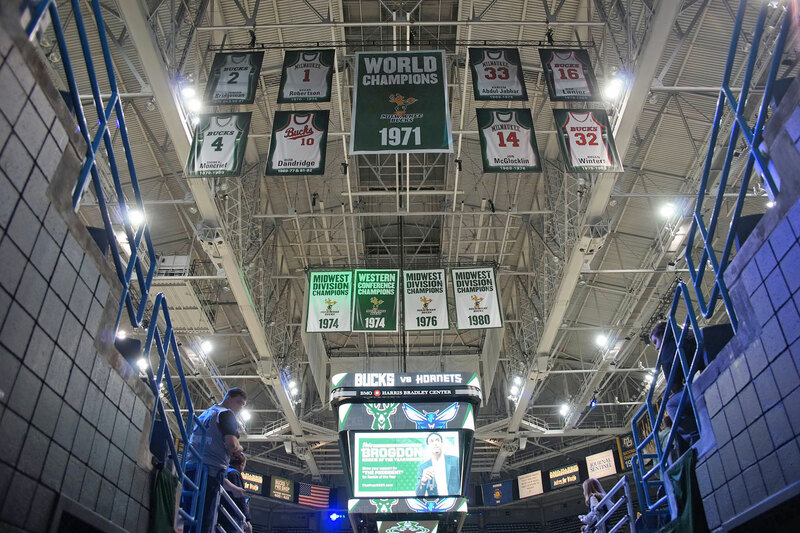 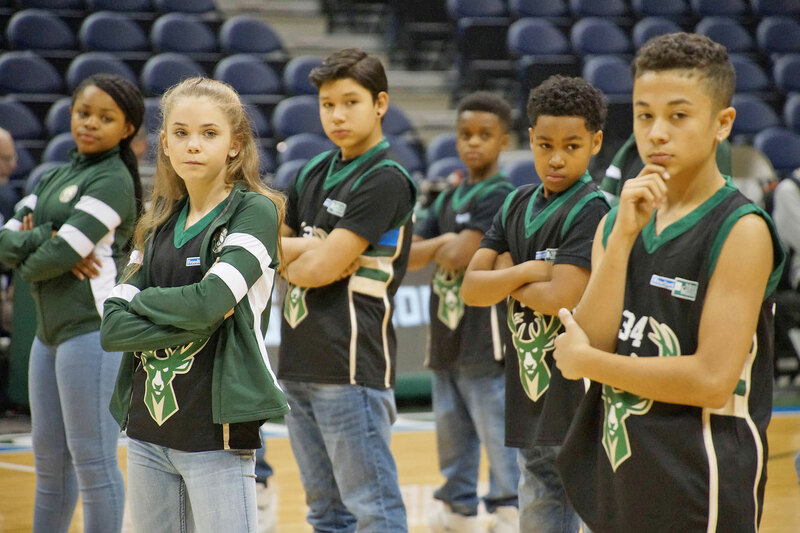 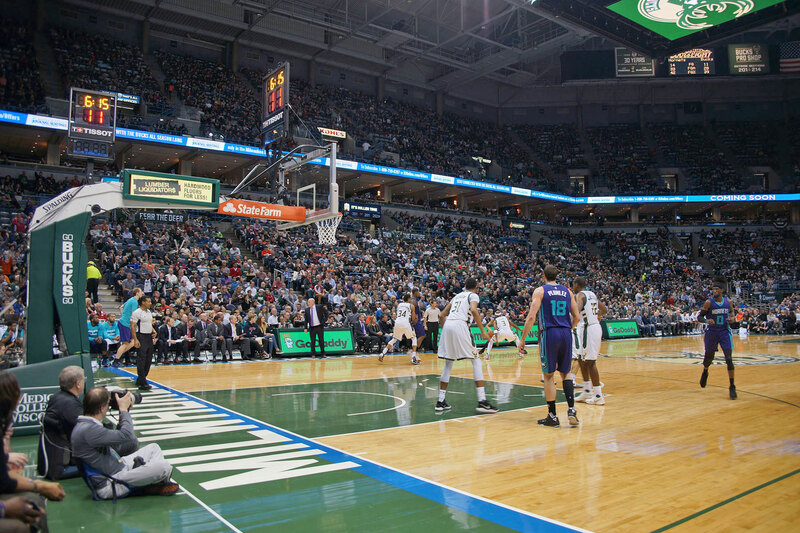 Bucks fans were rewarded for their continued team support throughout the 2016-17 season with “Fan Appreciation Night” at the BMO Harris Bradley Center. 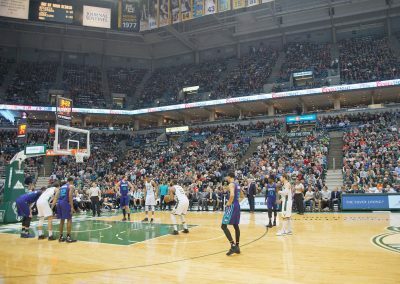 It was the regular season home finale against Charlotte on April 10. 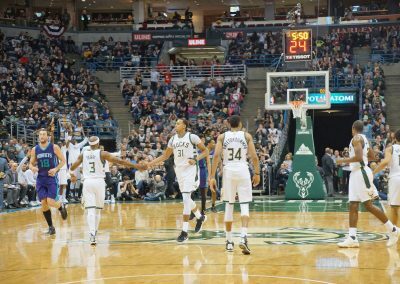 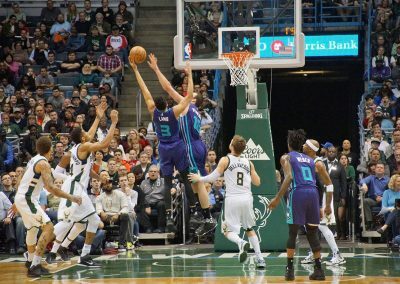 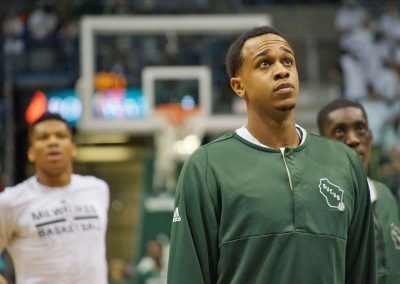 After clinching their first post-season position in two years with a 89-79 win over the Hornets, the Milwaukee Bucks are officially headed back to the NBA playoffs. 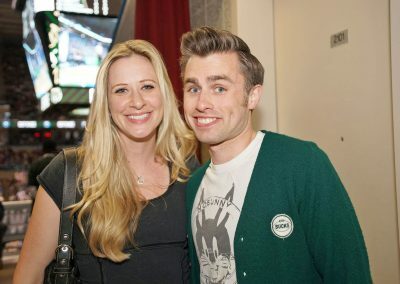 The popular Milwaukee Originals T-shirt line returned for a fourth season. 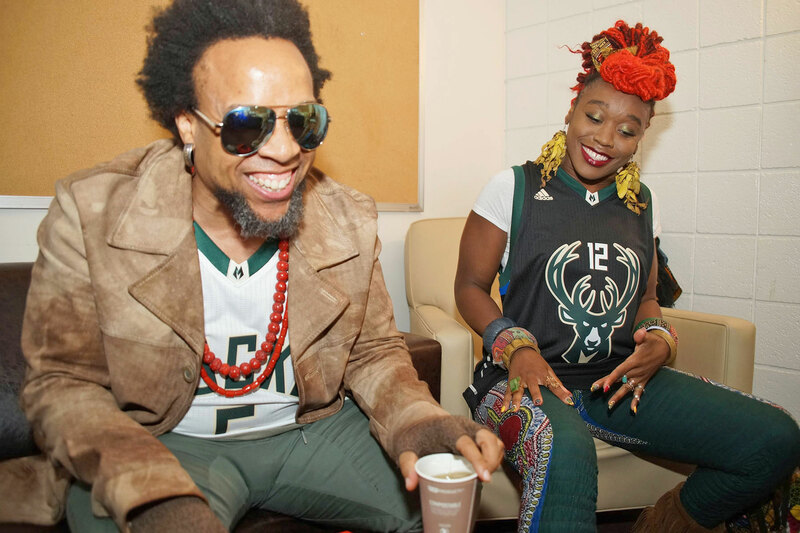 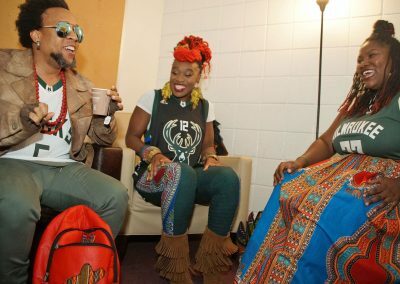 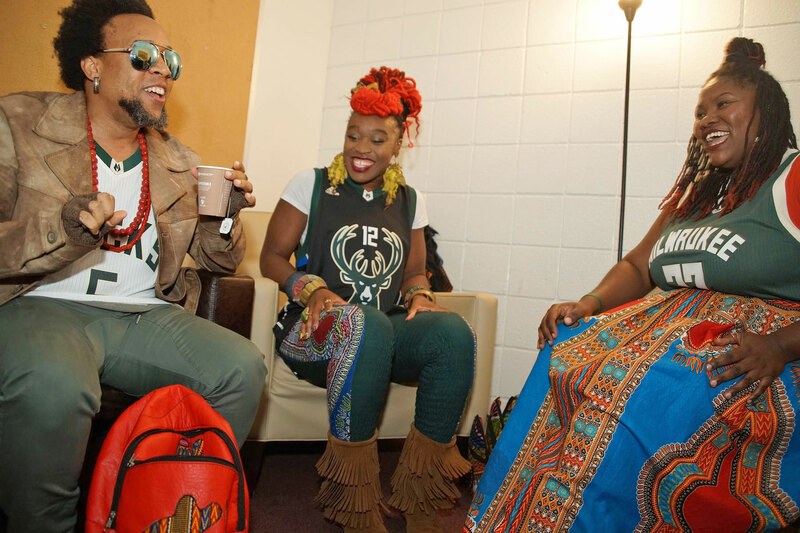 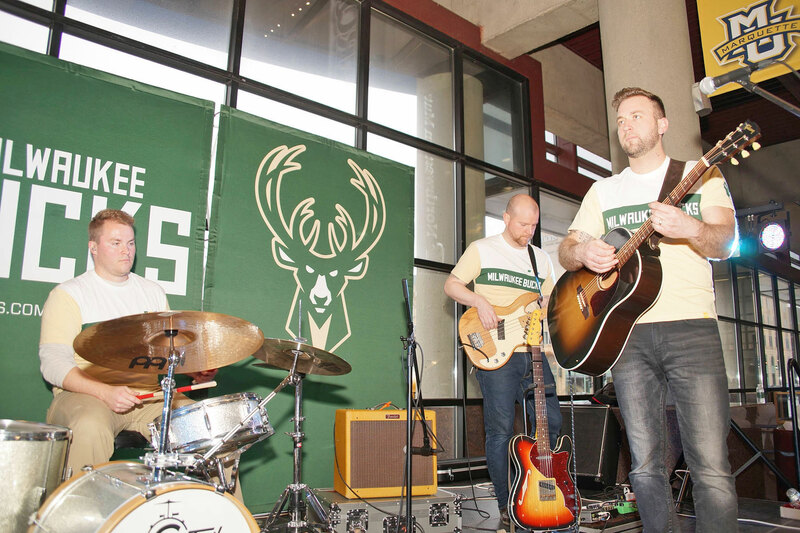 The exclusive and limited-edition apparel was designed by local artists, and a feature of Milwaukee Monday series that included local musical acts performing at all Monday night home games. 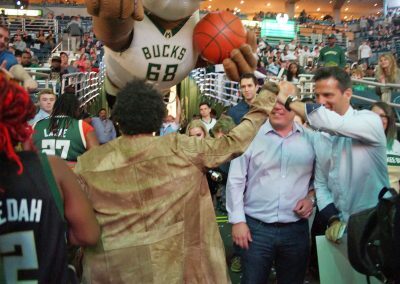 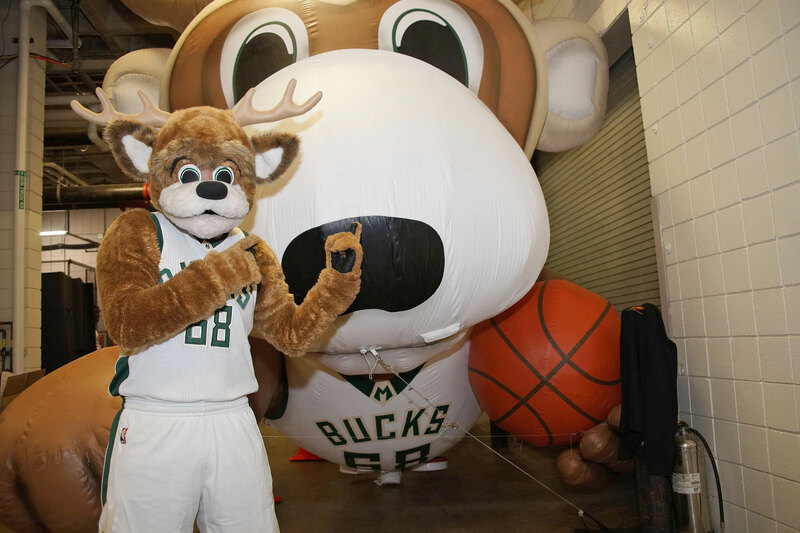 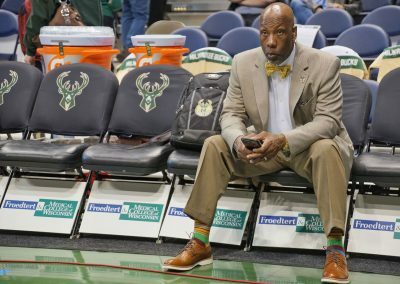 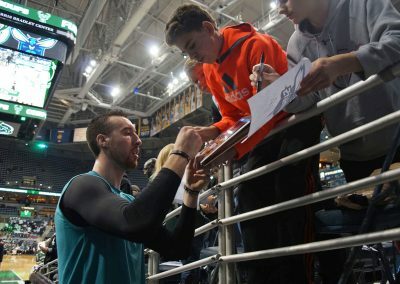 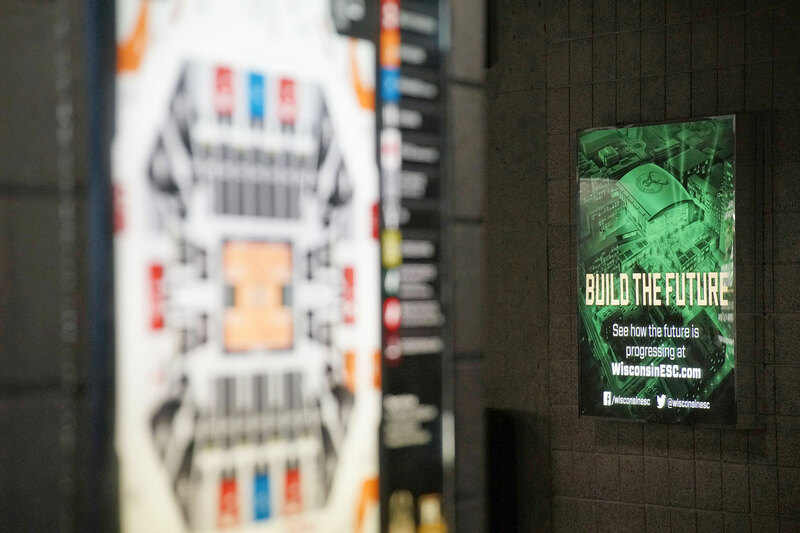 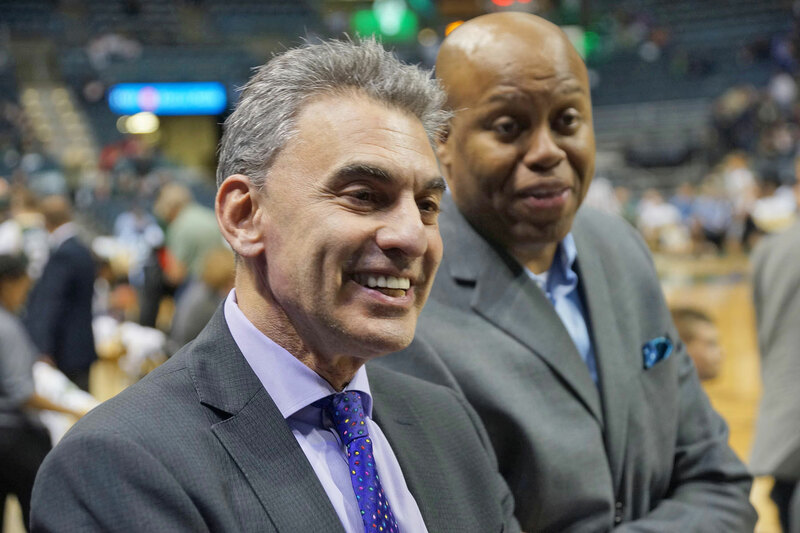 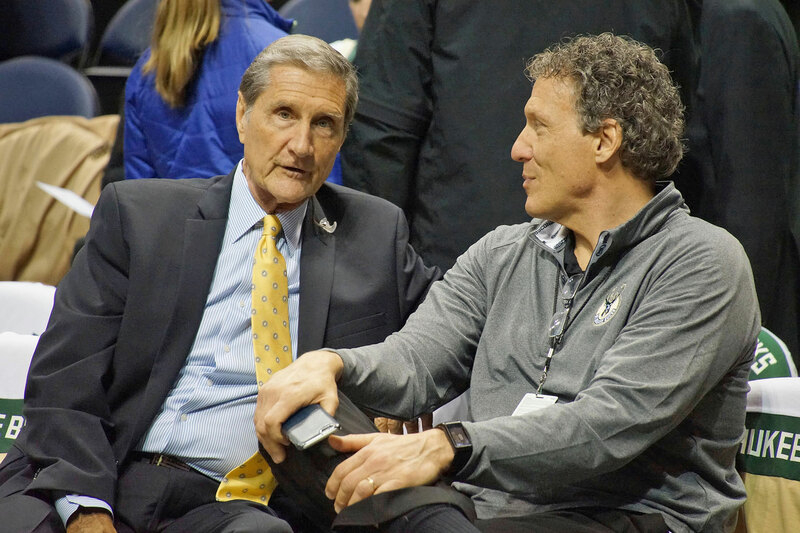 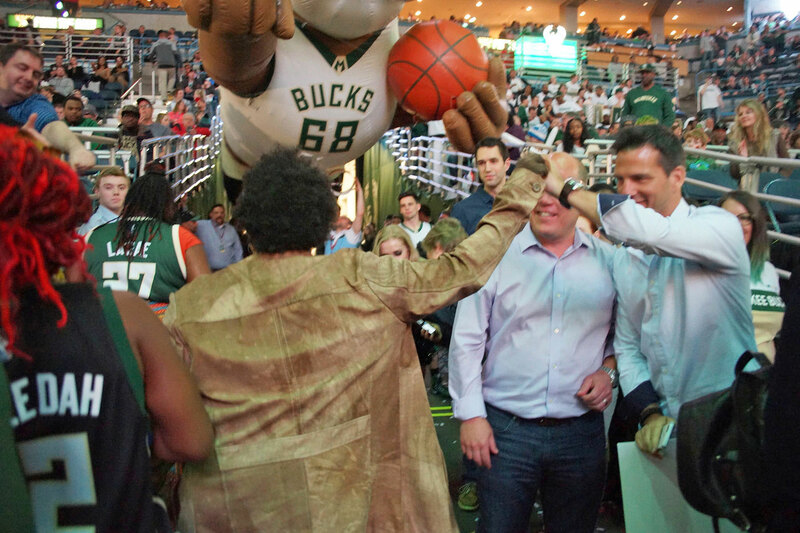 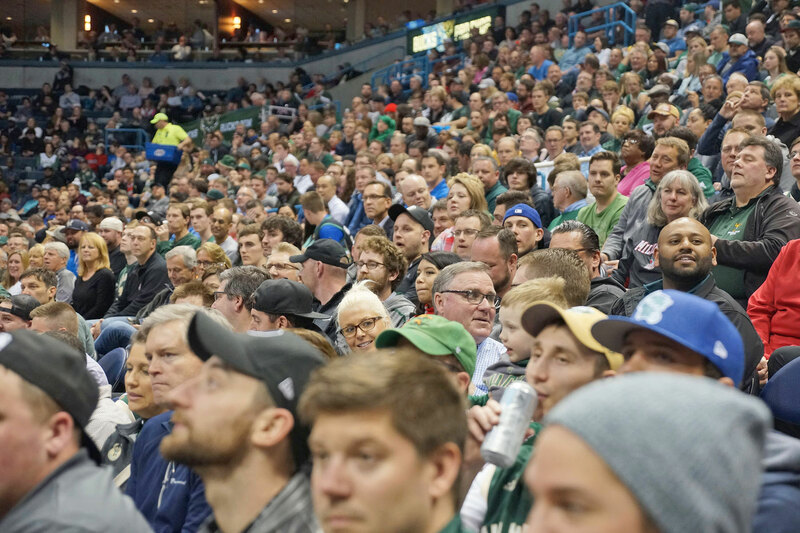 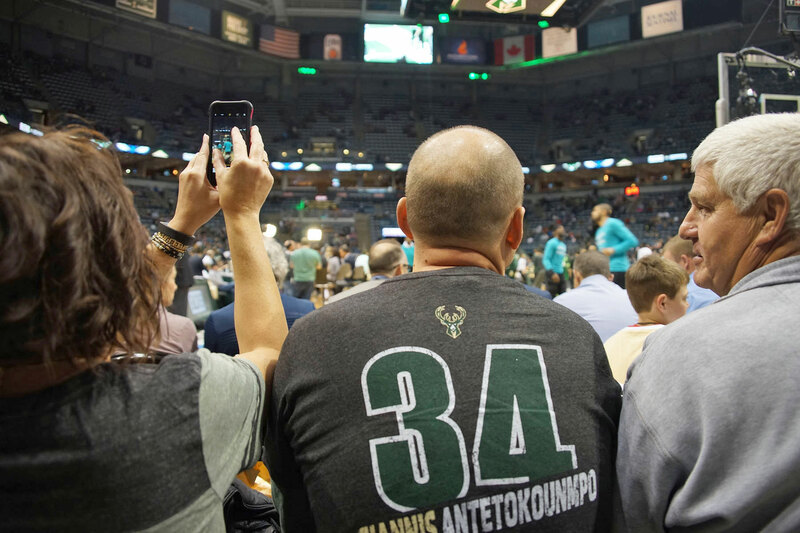 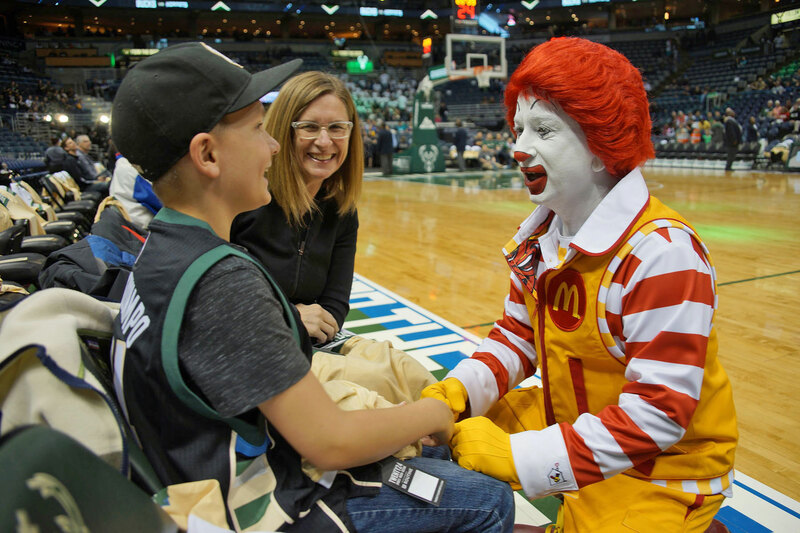 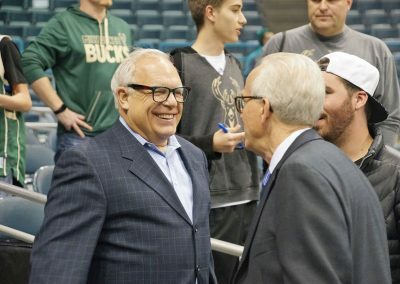 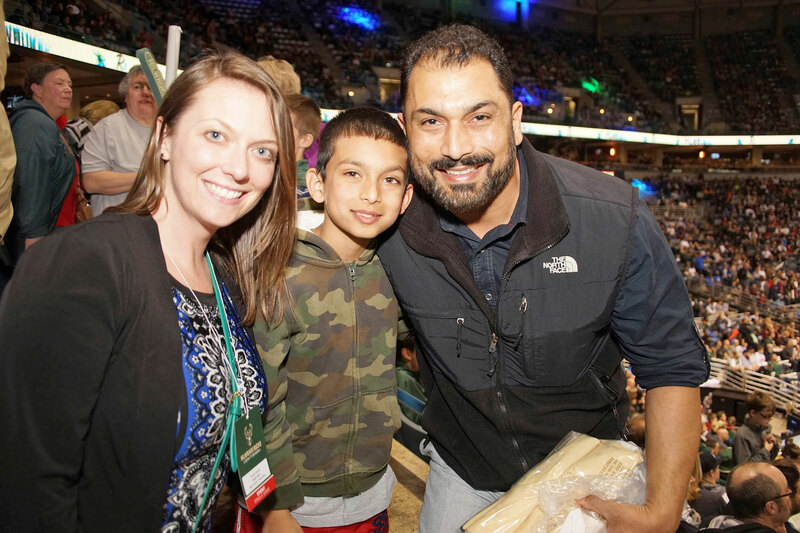 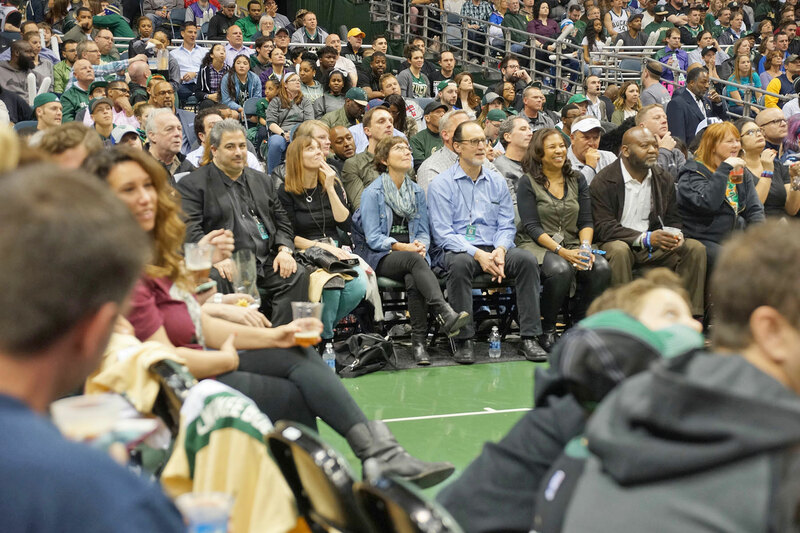 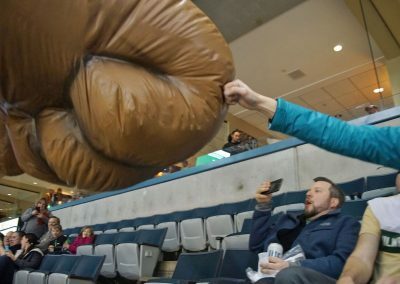 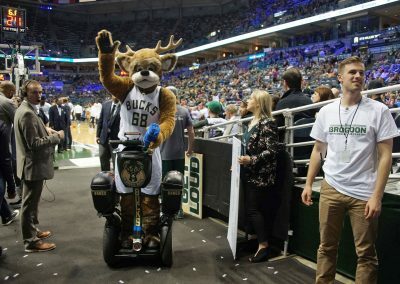 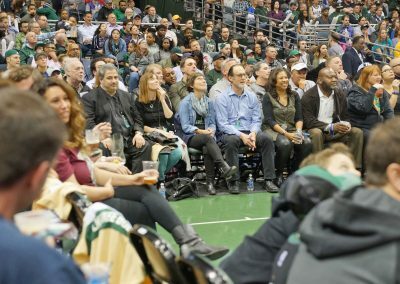 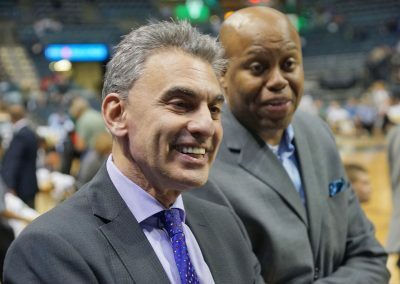 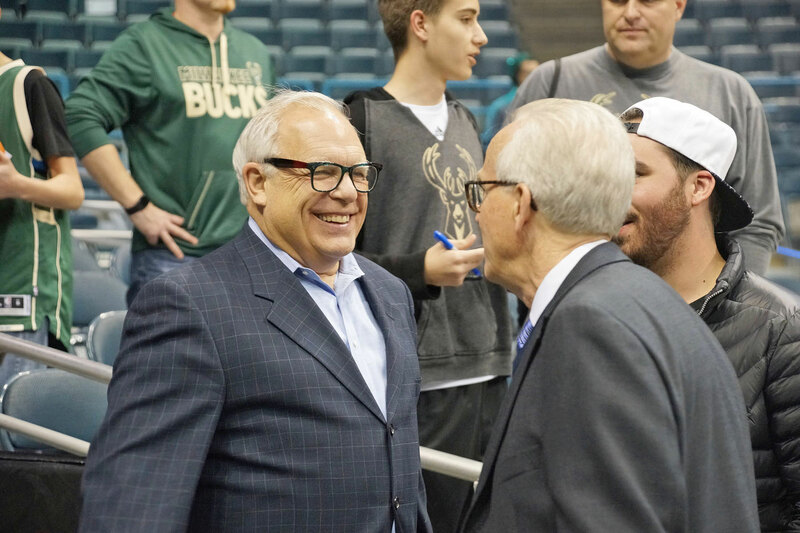 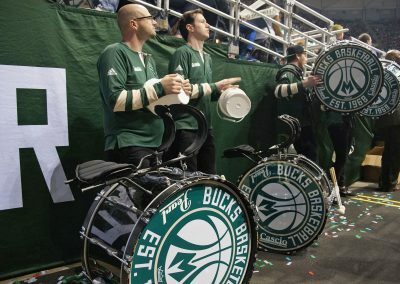 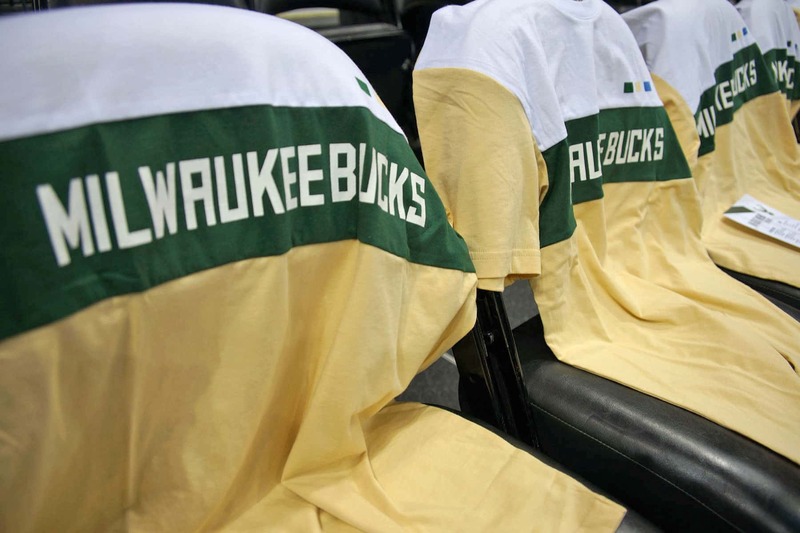 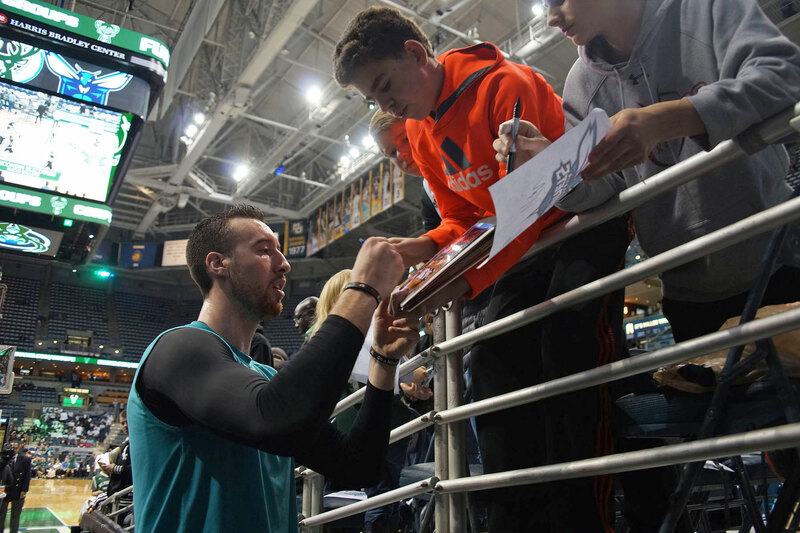 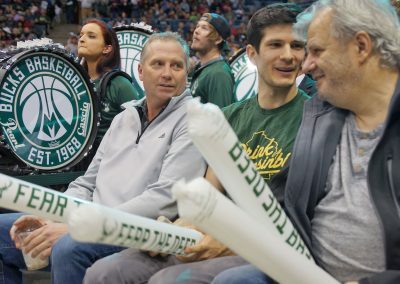 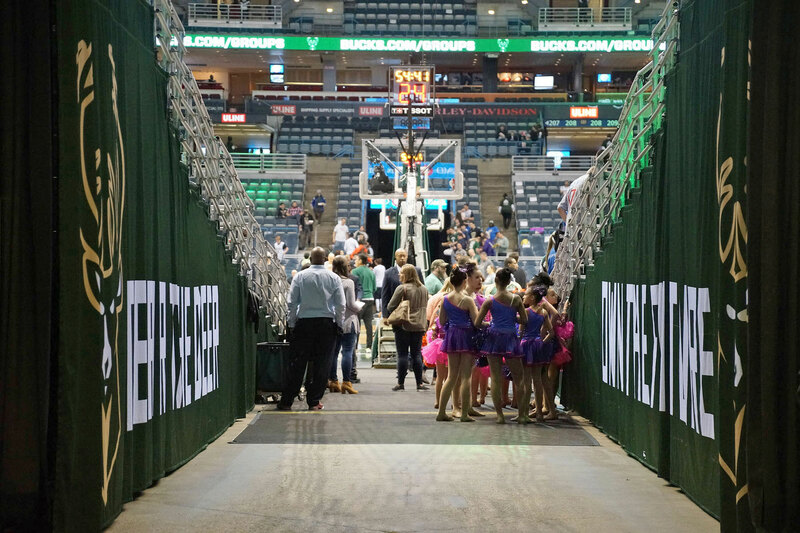 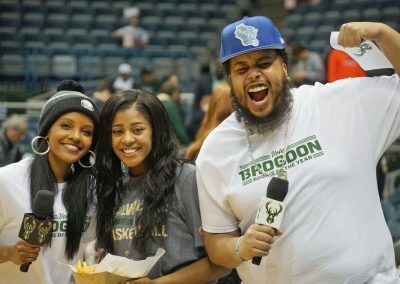 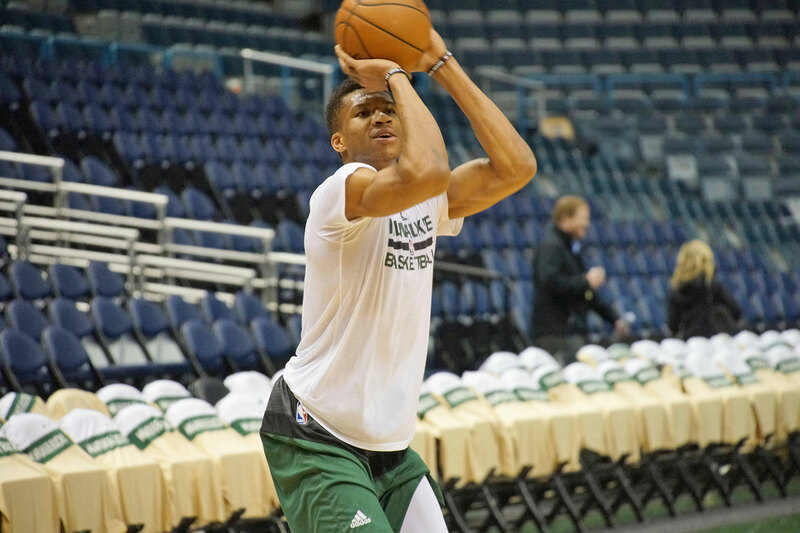 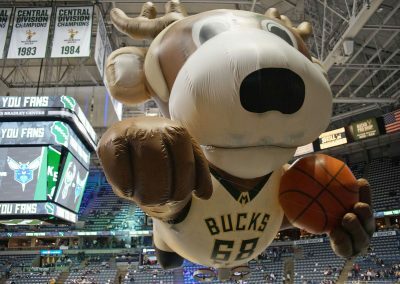 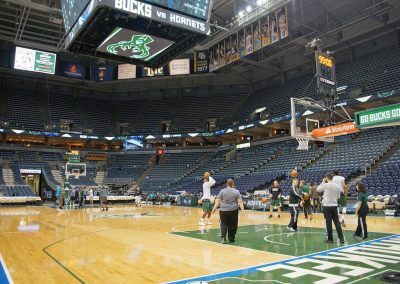 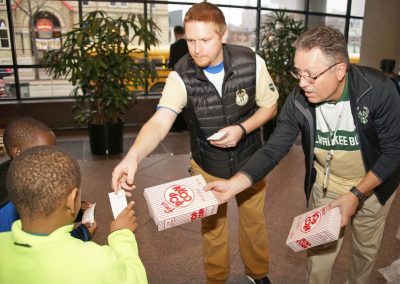 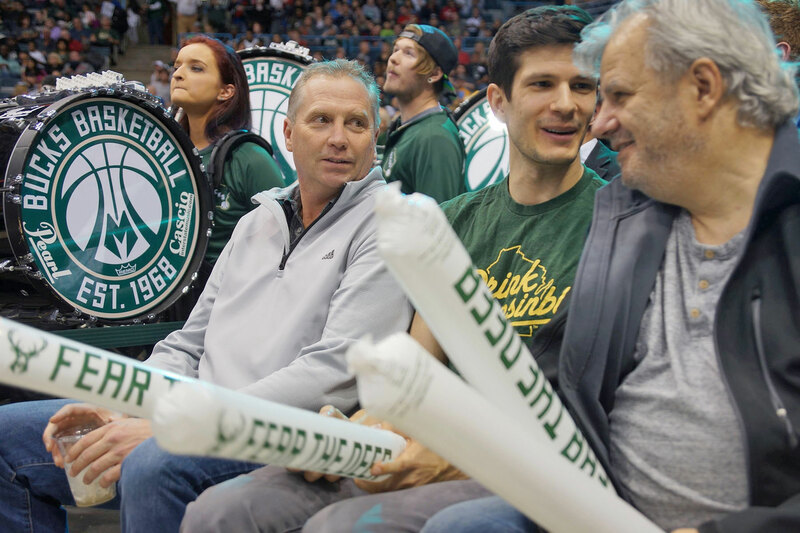 In order to thank the public for their passion, and to show how important their support is to the Bucks organization, the team offered loyal fans a full slate of prizes and giveaways that made the game a must-attend event. 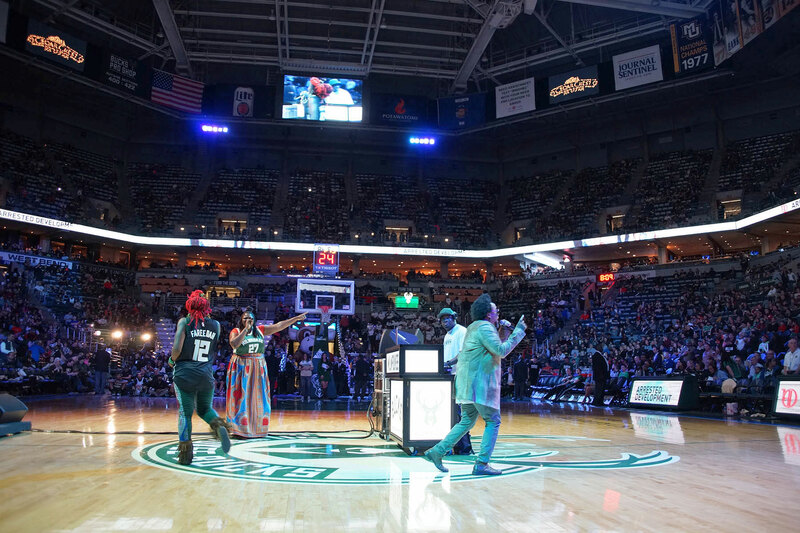 The efforts were part of the program created by the Bucks and 88Nine Radio to celebrate everything that makes Milwaukee special. 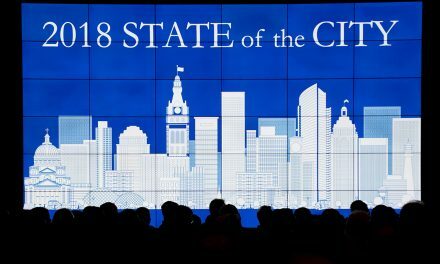 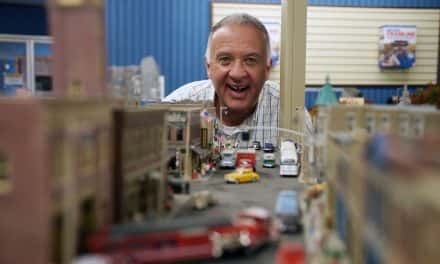 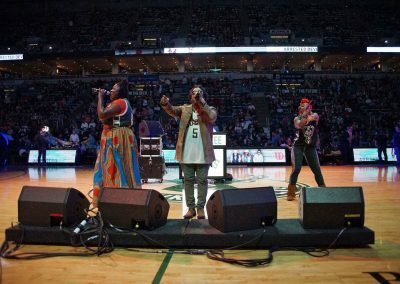 This year’s platform featured a new community-focused intensity as the Bucks highlighted various Milwaukee neighborhoods that comprise the unique fabric of the Milwaukee. 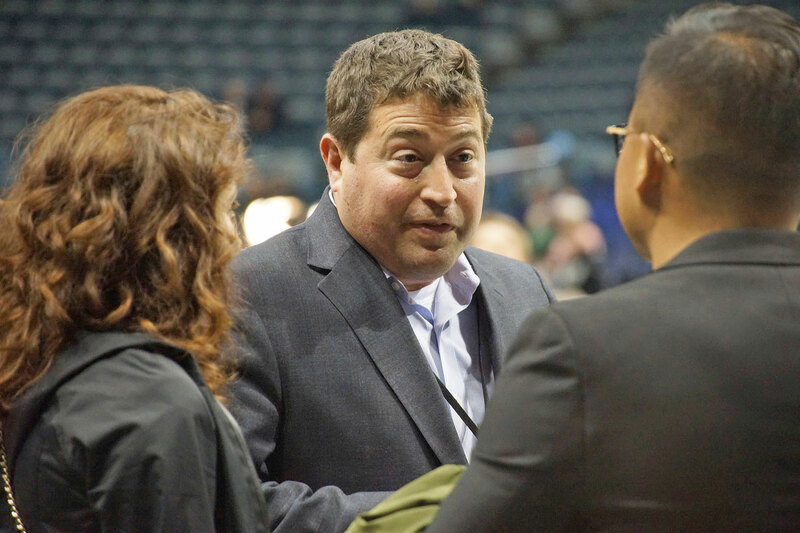 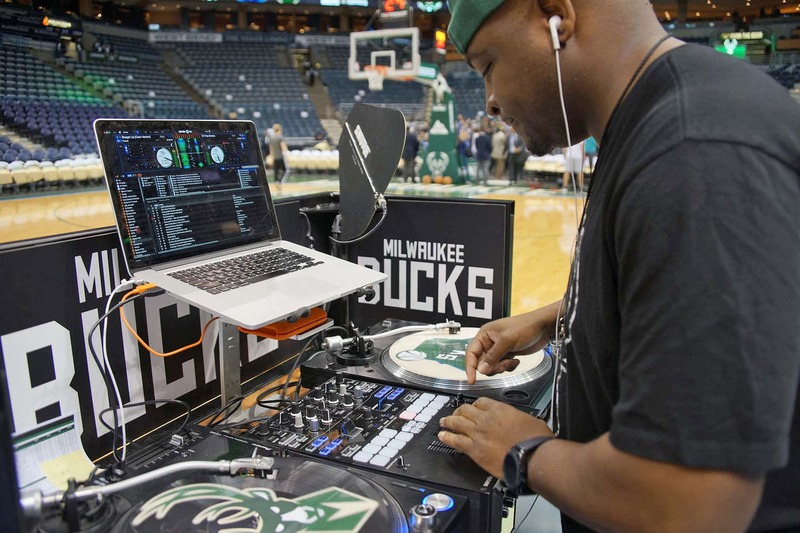 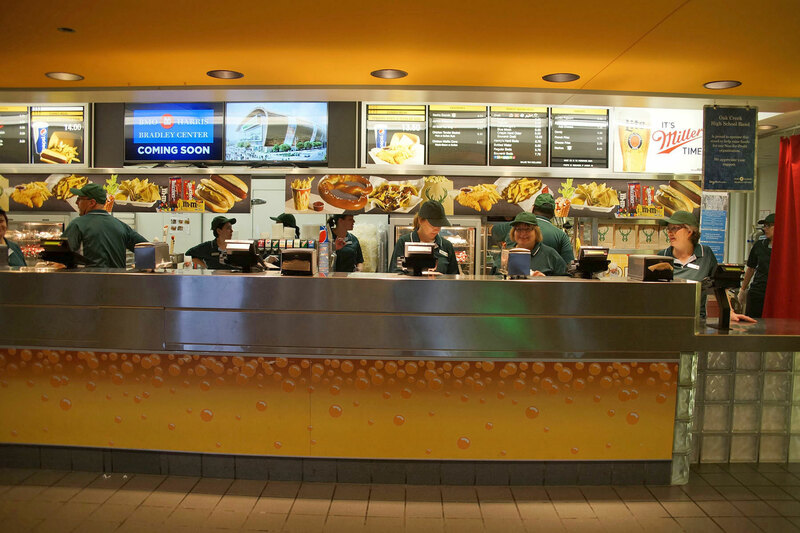 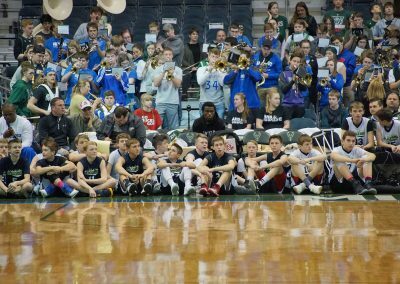 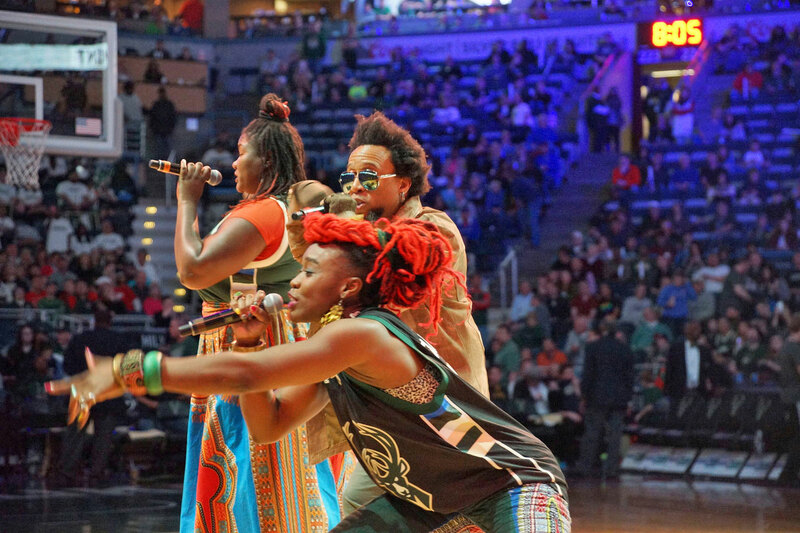 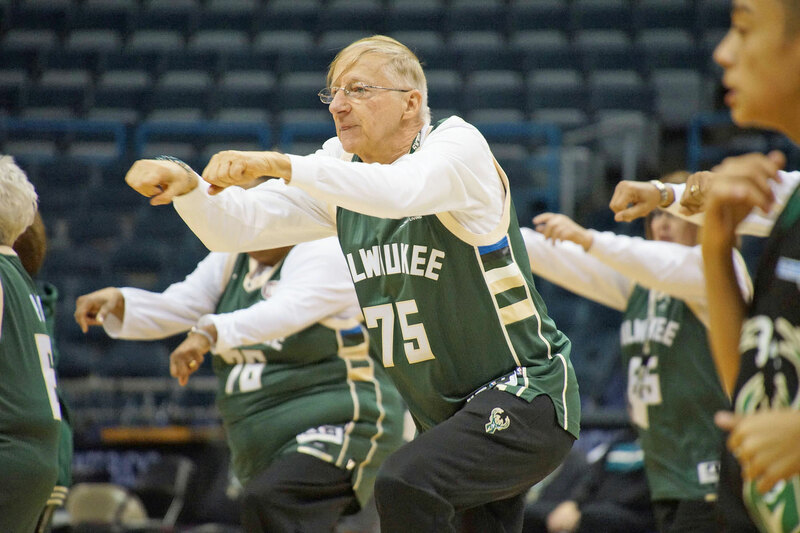 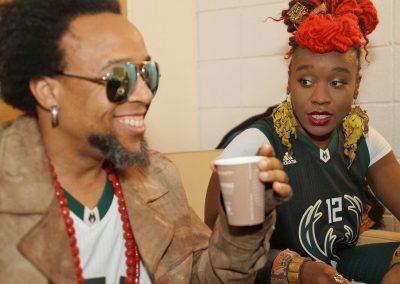 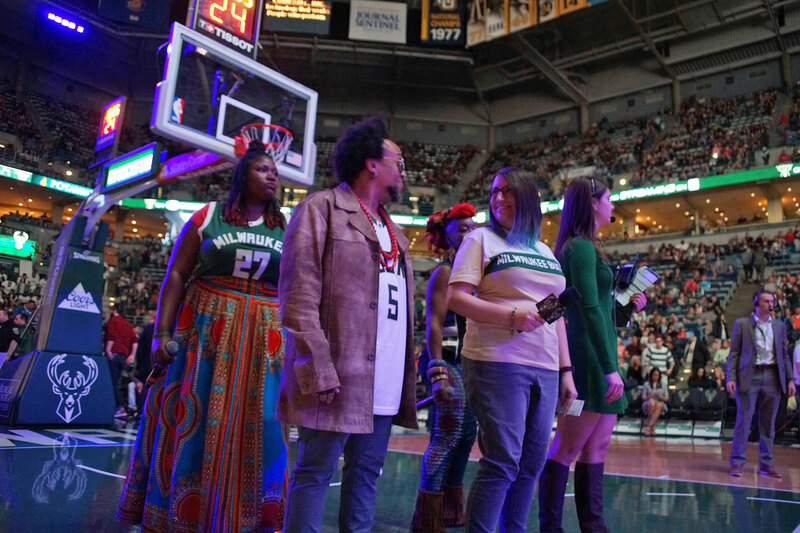 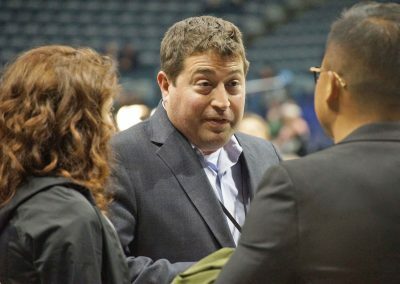 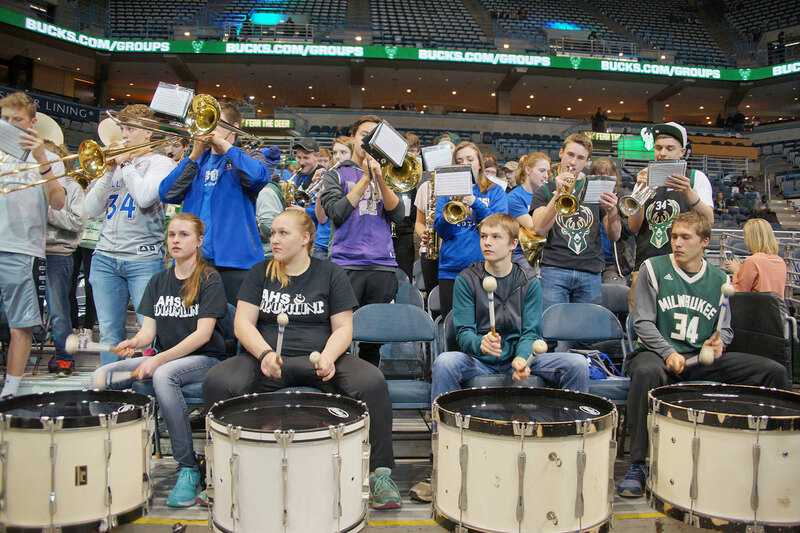 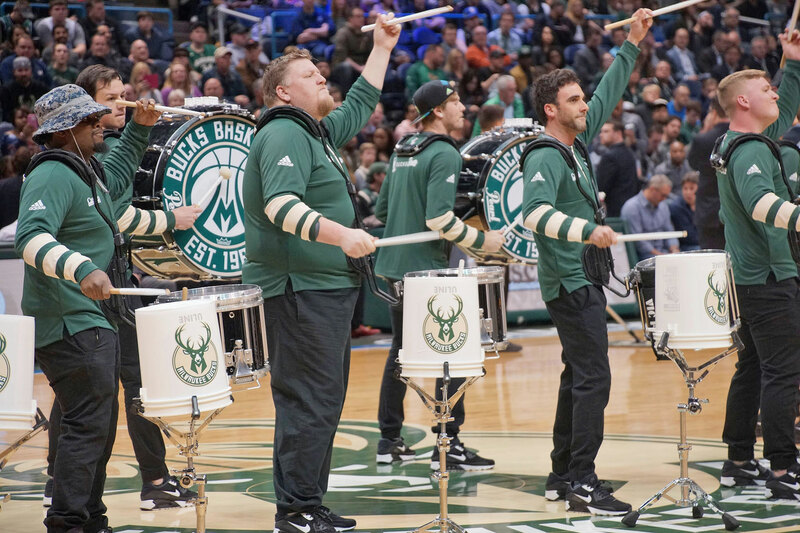 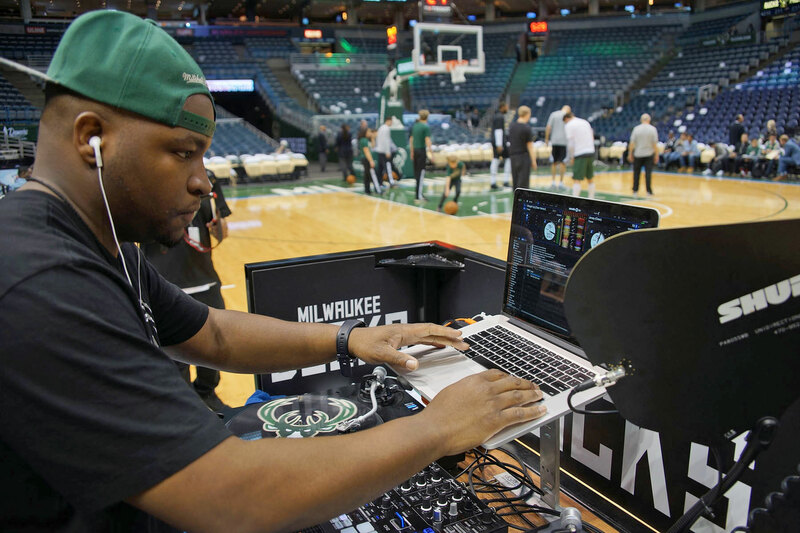 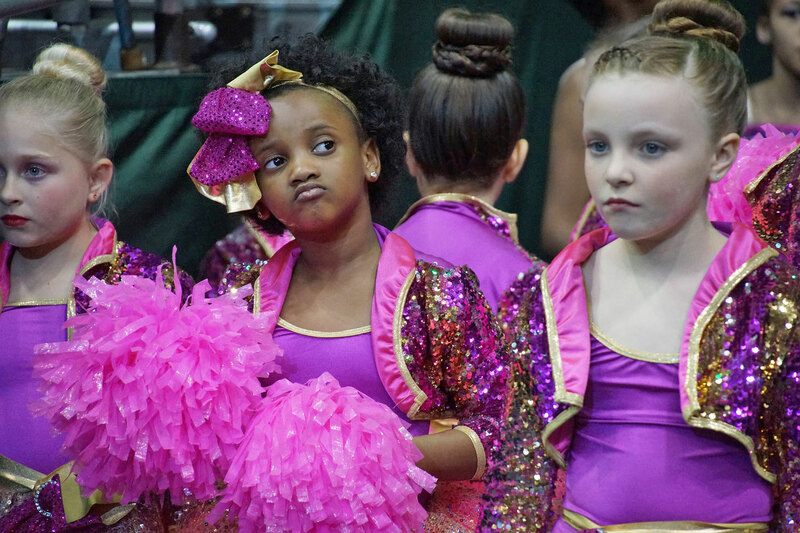 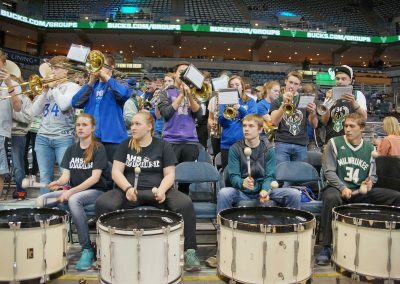 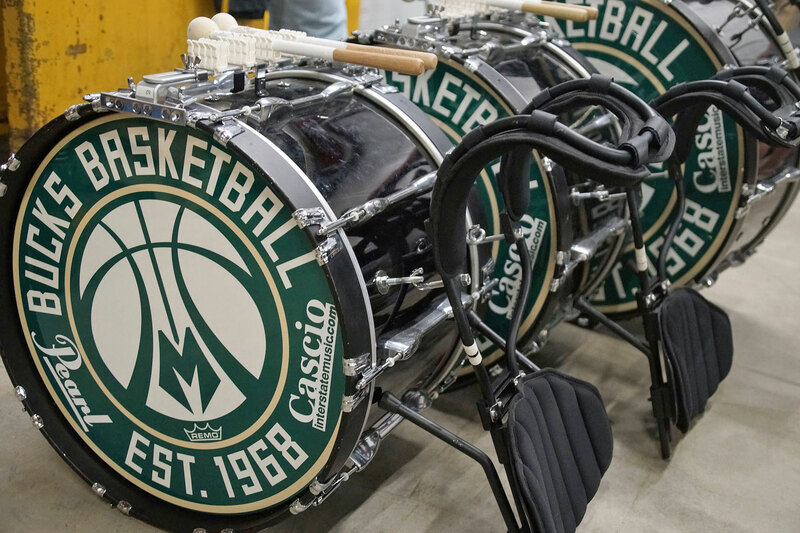 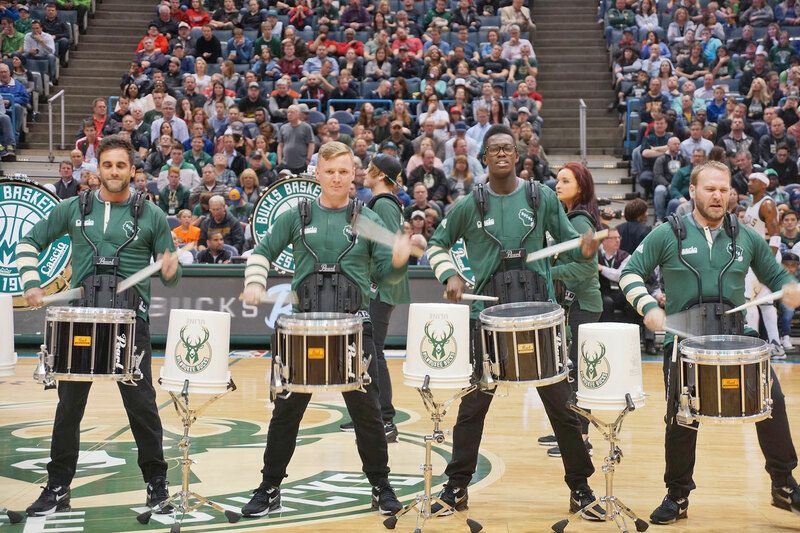 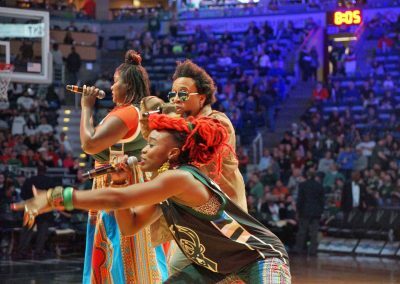 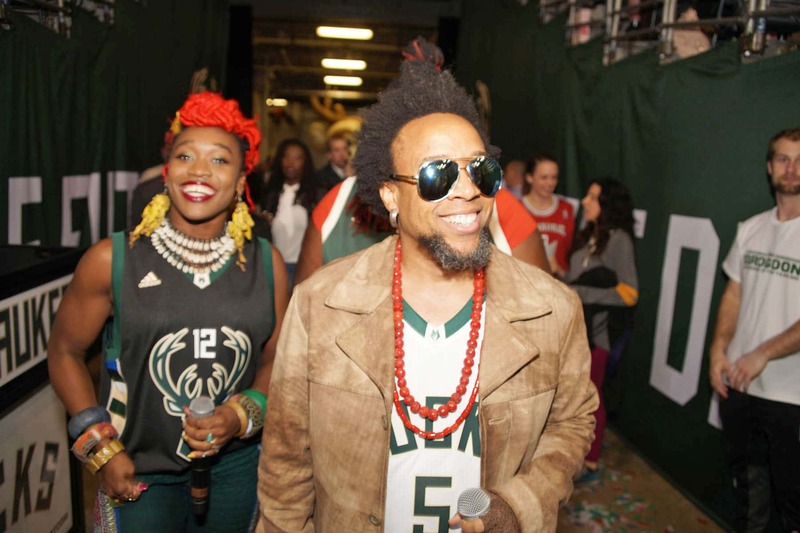 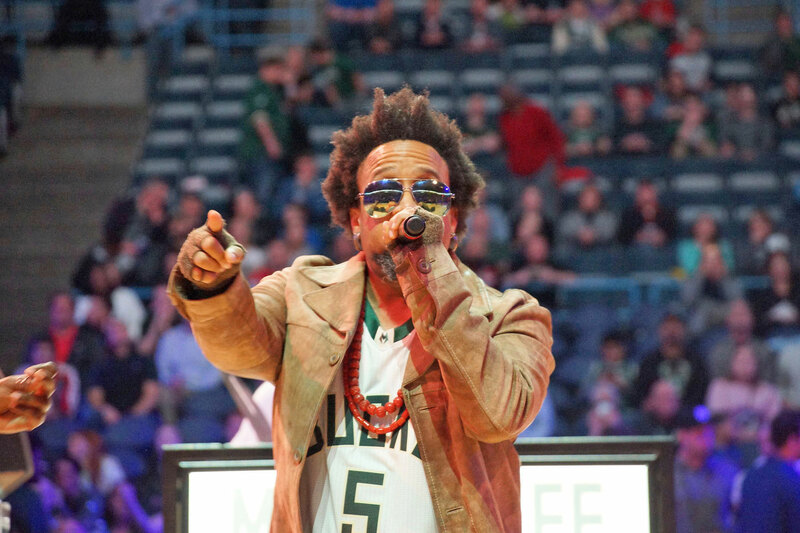 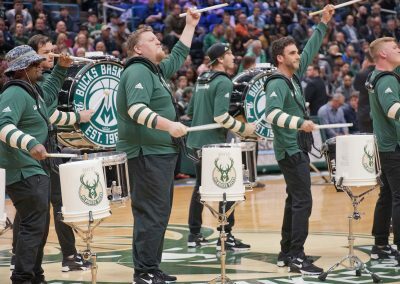 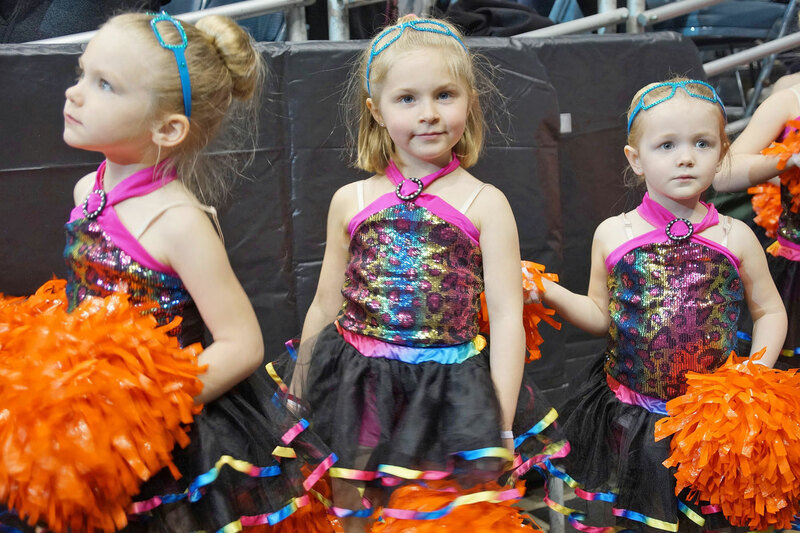 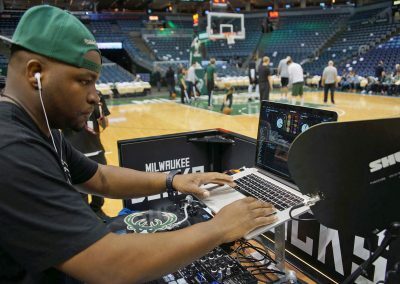 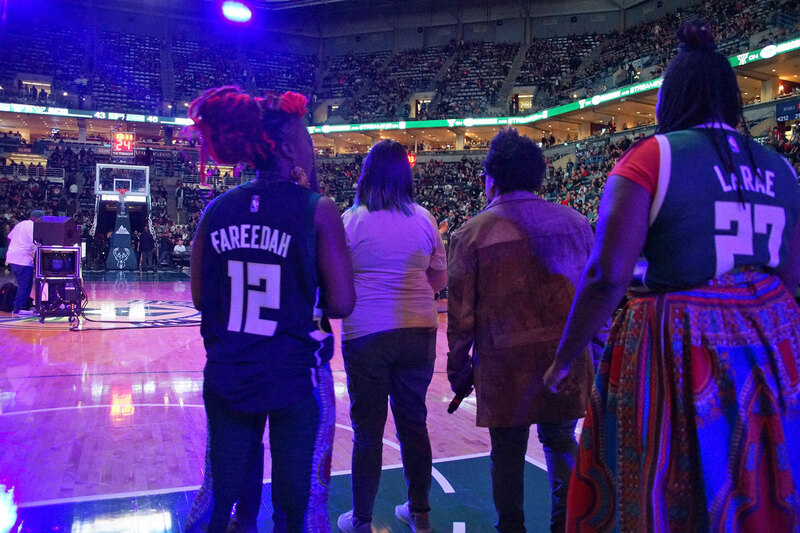 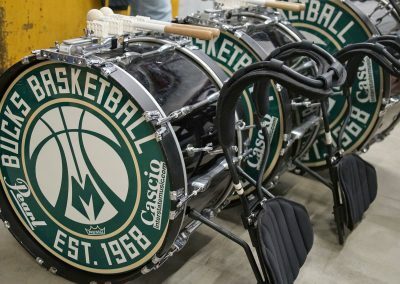 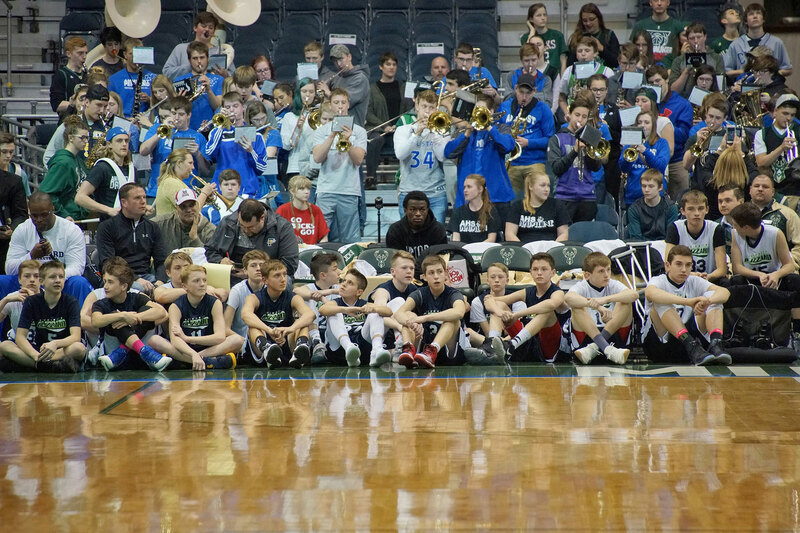 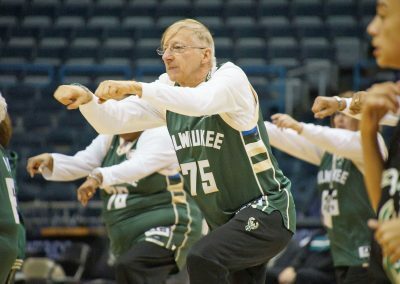 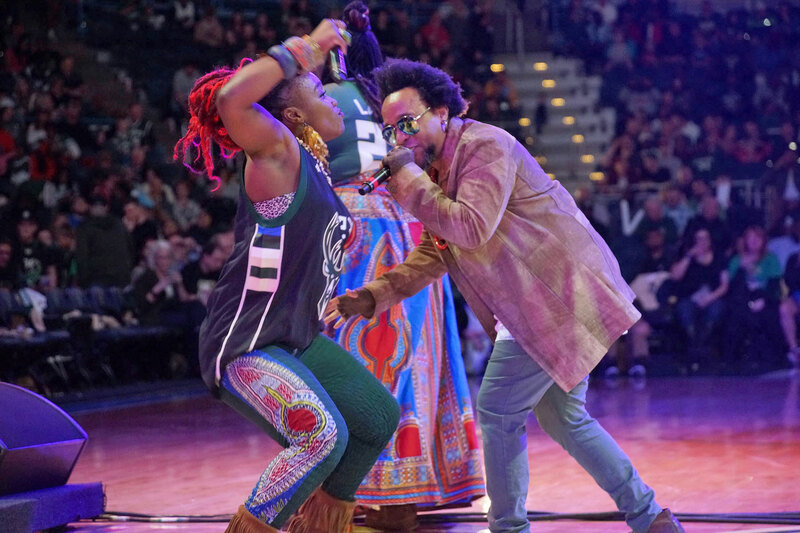 The partnership provides an incredible opportunity for Milwaukee musicians to play in front of a large crowd during a paid halftime show at the Arena. 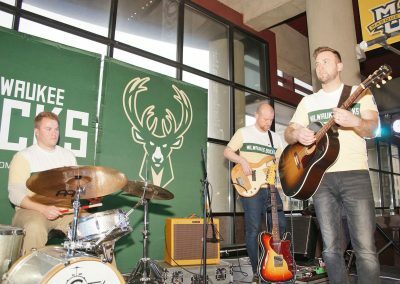 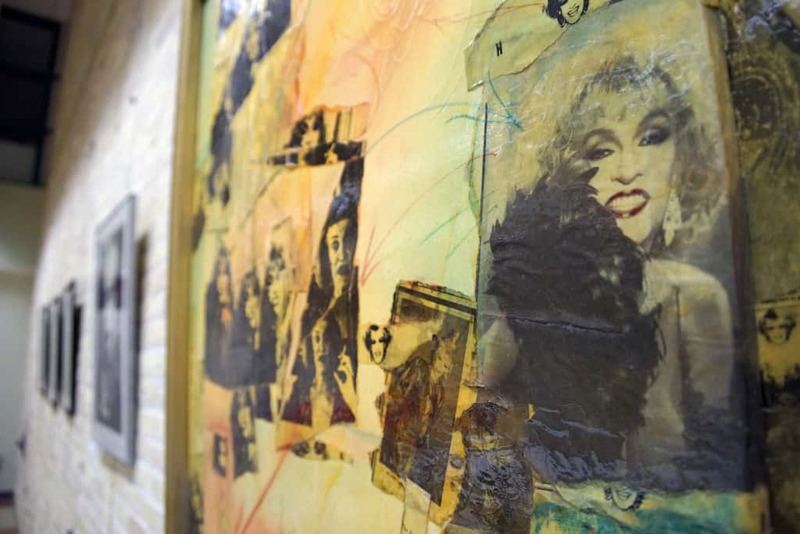 It shows the Bucks commitment and respect for the Milwaukee music scene, to help develop the program and continue to enhance it. 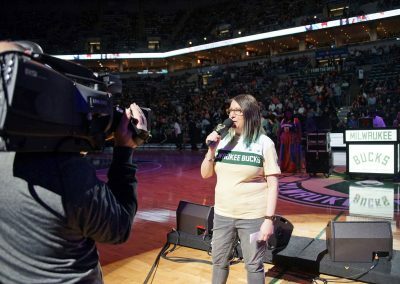 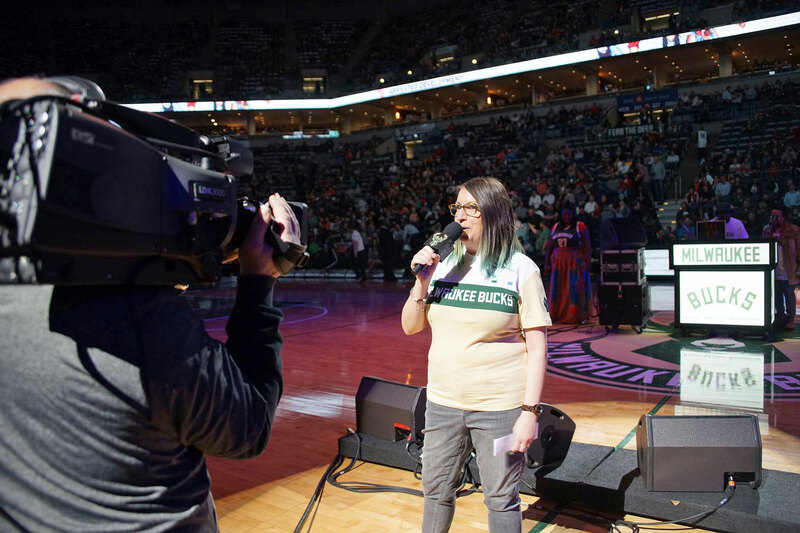 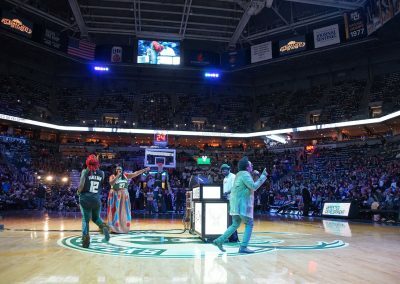 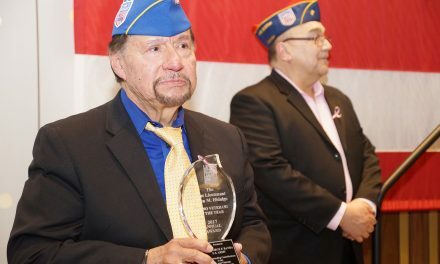 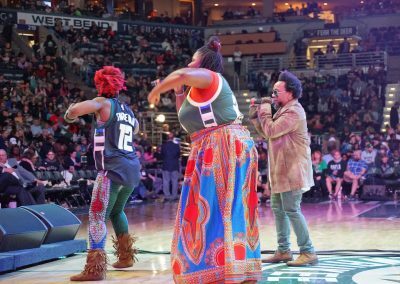 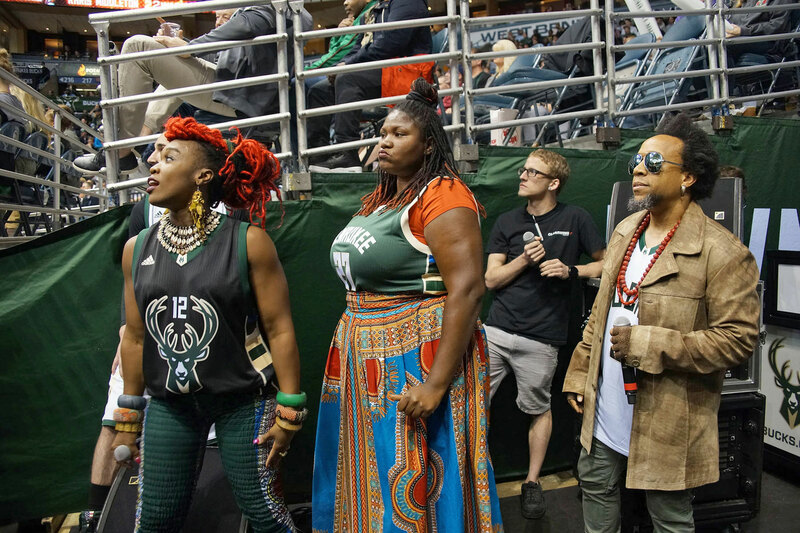 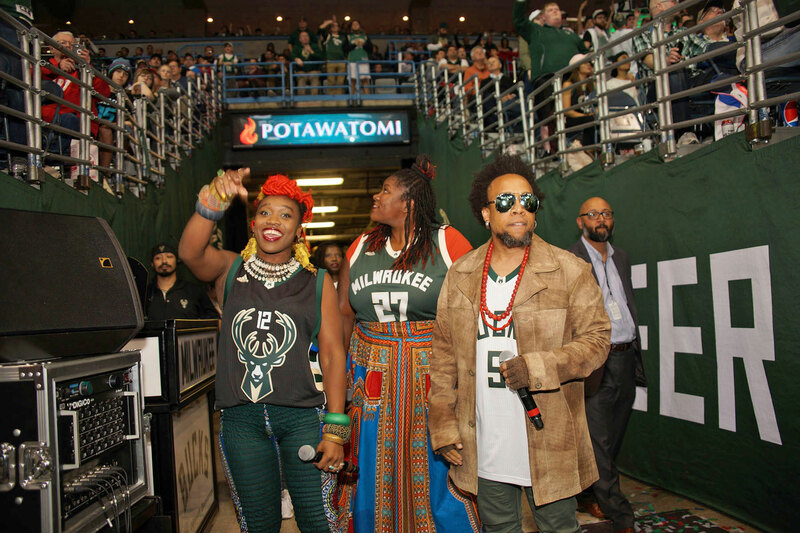 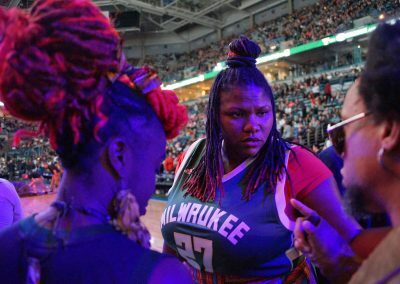 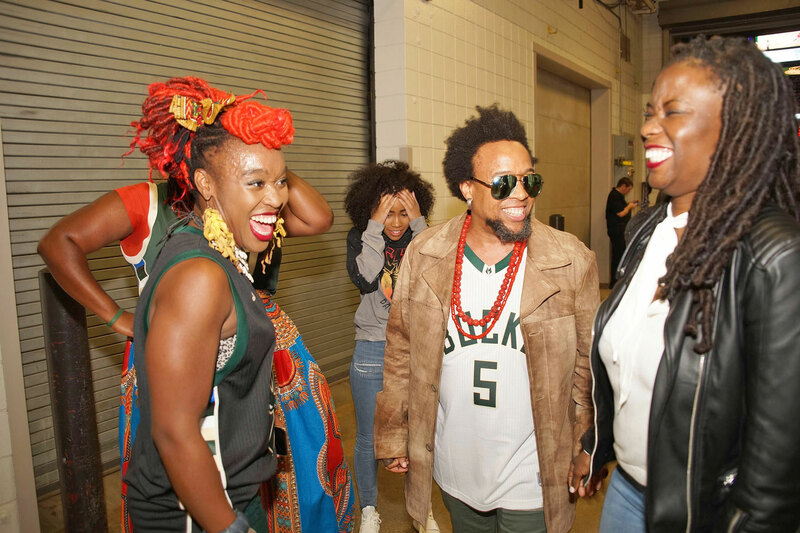 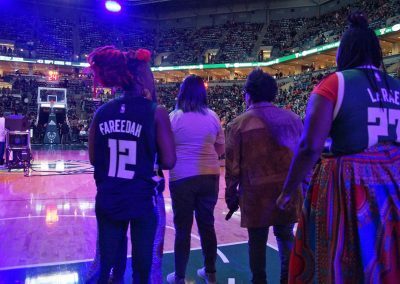 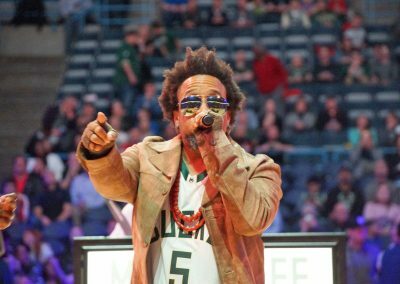 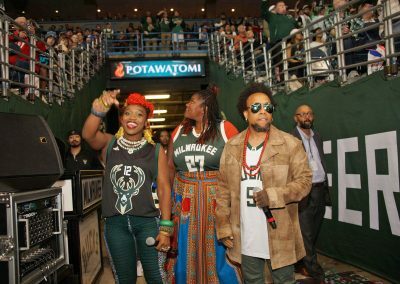 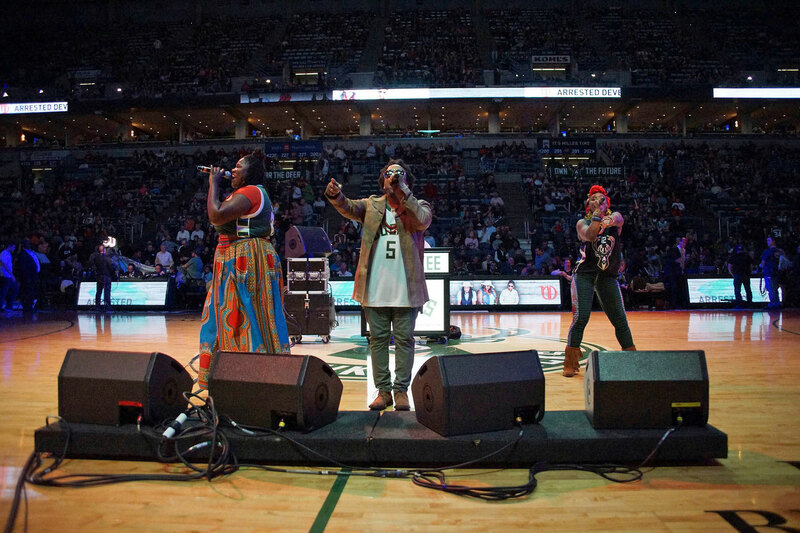 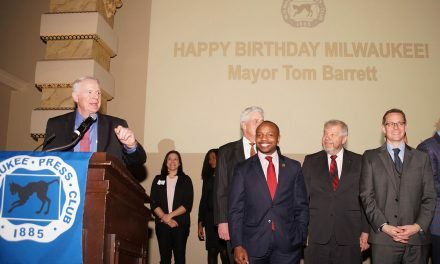 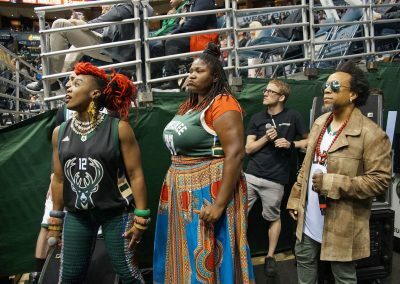 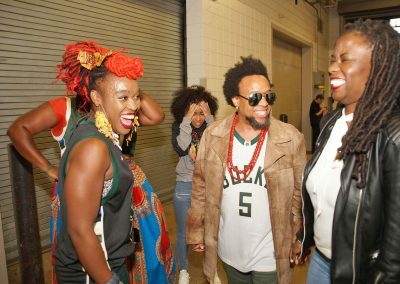 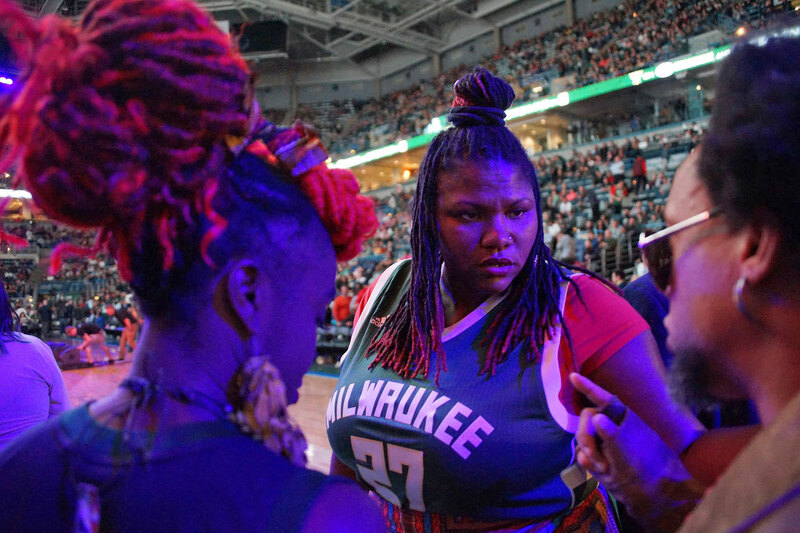 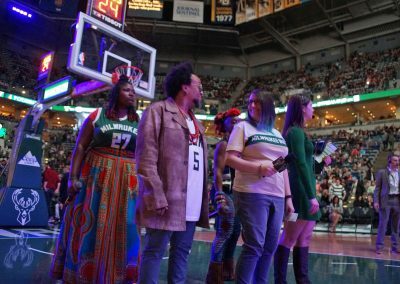 These images were taken during the Milwaukee Monday of 2017 as an example of the event, where partners like the Milwaukee Bucks and 88Nine Radio shared a night of pride for Milwaukee. 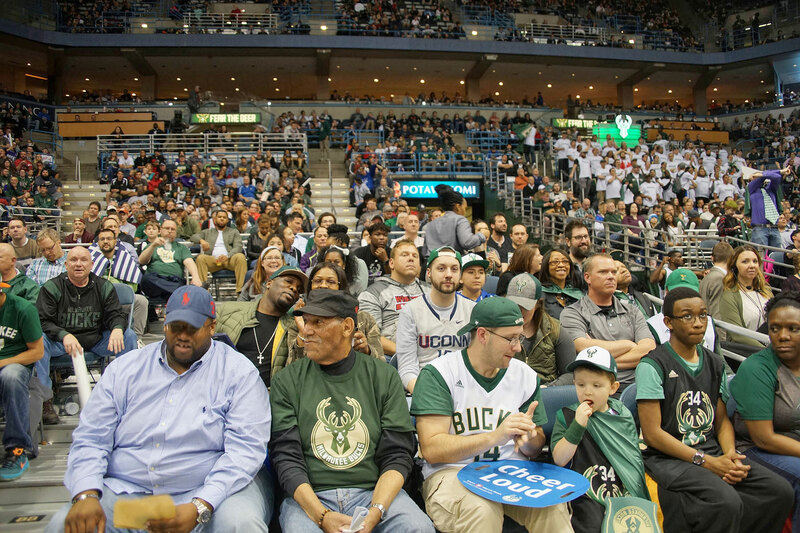 Cheering fans celebrated the amazing things that the city has to offer, while enjoying a hometown team win.